Amazing UK hotel breaks from Travelzoo, up to 49% off! Check out these fantastic hotel deals from Travelzoo, fantastic hotels at fantastic prices with lots of freebies & extras secured for you by Travelzoo! 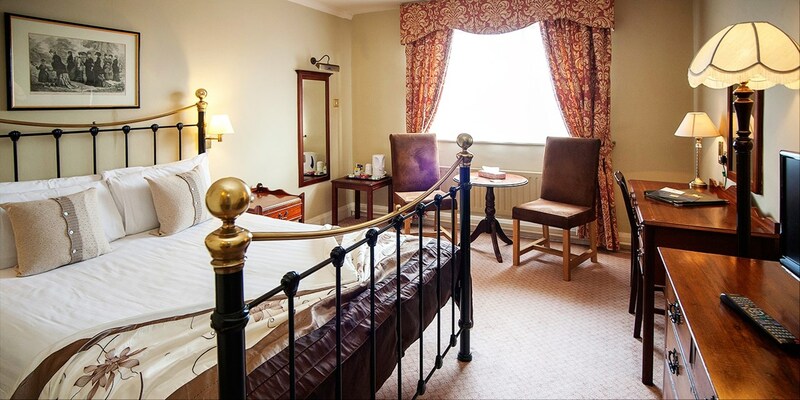 Dinner, bed and breakfast stays at The Lion Hotel in the centre of Shrewsbury -- a historic market town that Lonely Planet describes as a "delightful jumble of winding medieval streets" -- are now £89. 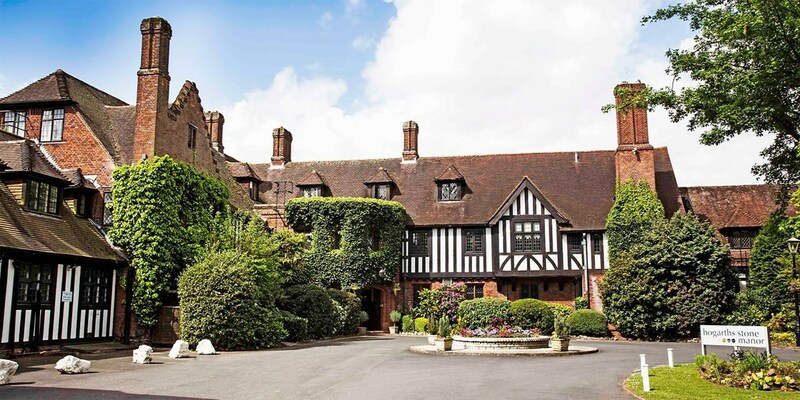 Two-night stays at Bridgewood Manor, less than five minutes' drive from the Kent Downs Area of Outstanding Natural Beauty, are now £89 per person. This package, which is up to 40% cheaper than usual, includes wine on arrival, dinner on the first night, late checkout and more. 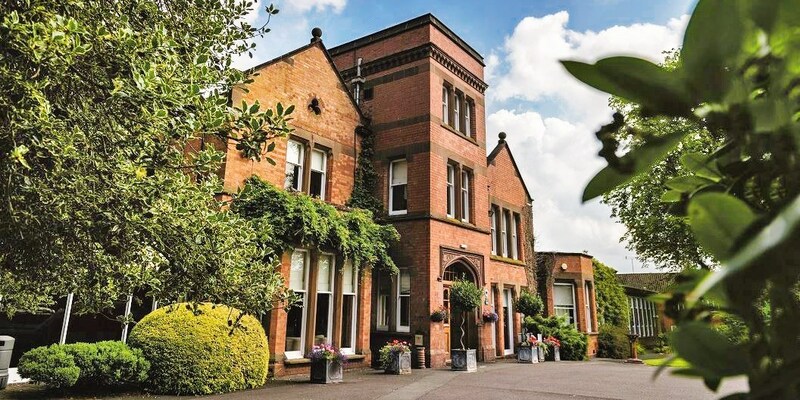 Save 47% on the usual cost of a 2-night stay at The Royal Oak -- a 19th-century inn located in Kelsall, Cheshire. 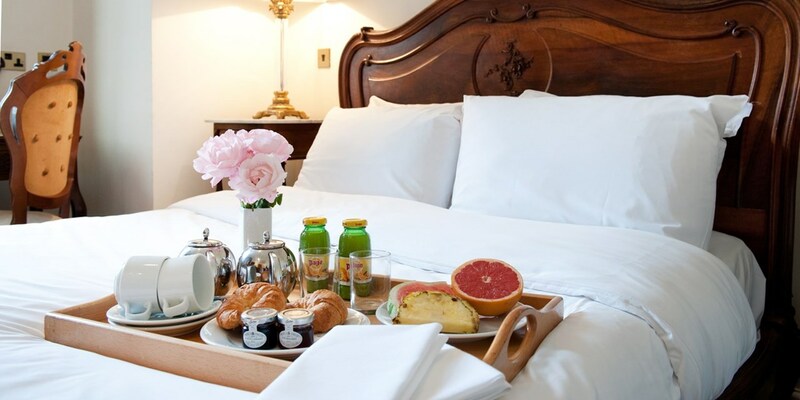 This deal costs £99 and includes daily breakfast. 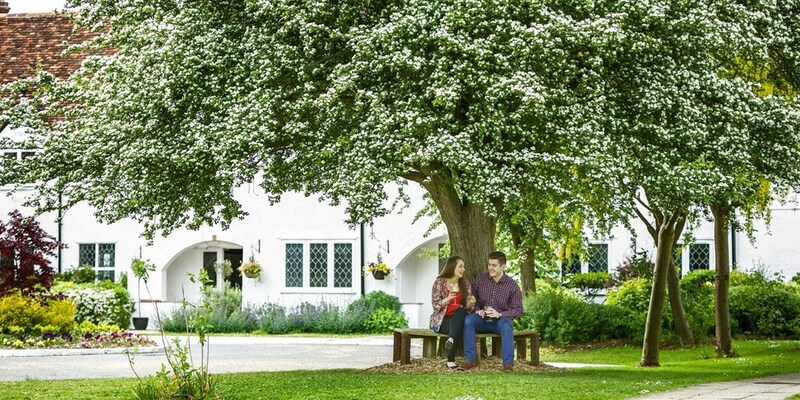 Overnight stays at Esseborne Manor Hotel & Restaurant in Hampshire -- 15 minutes' drive from where "Downtown Abbey" was filmed, and where many of the cast stayed during filming -- now start from £129. 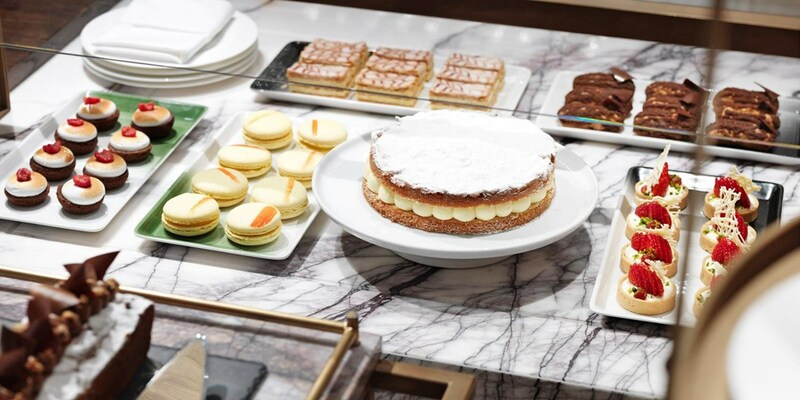 This deal includes tea and scones, and a 7-course tasting-menu dinner. 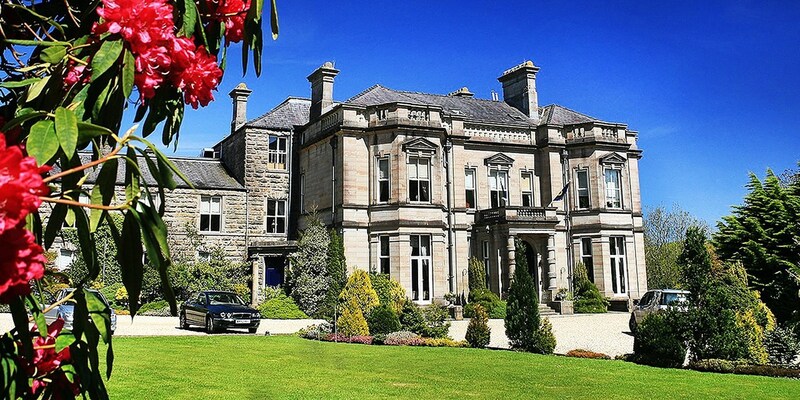 Save up to 49% on an overnight break at Lovelady Shield Country House Hotel in the North Pennines Area of Outstanding Natural Beauty. 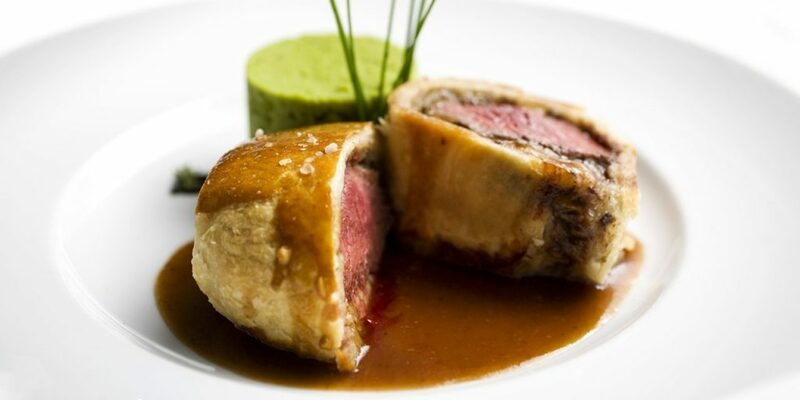 For £129, this offer includes breakfast and a 4-course tasting-menu dinner with matching wines. To use deeplinks please replace "!!!id!!!" with your affiliate ID. Fresh new local deals from Travelzoo, save up to 50%! 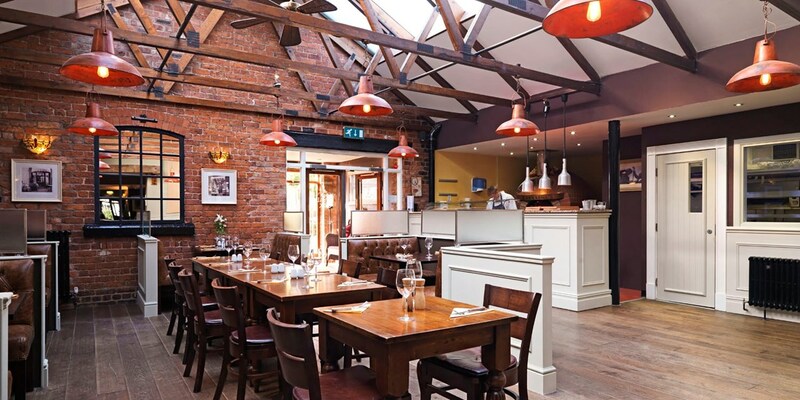 Staffordshire Coaching Inn: 2-Course Meal with Gin for 2, Only £29! Darwin's at The George in Lichfield is now offering a 2-course meal with a gin and tonic of your choice for less than £15 a head. 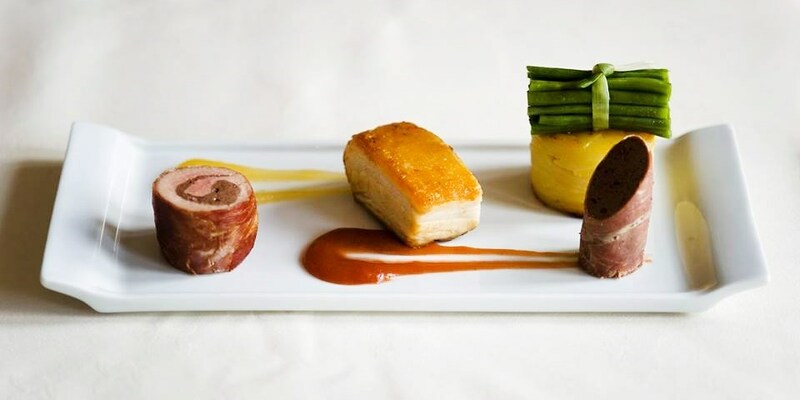 Kent: 3-Course Celeb-Chef Lunch, Wine & Coffee, Only £25! 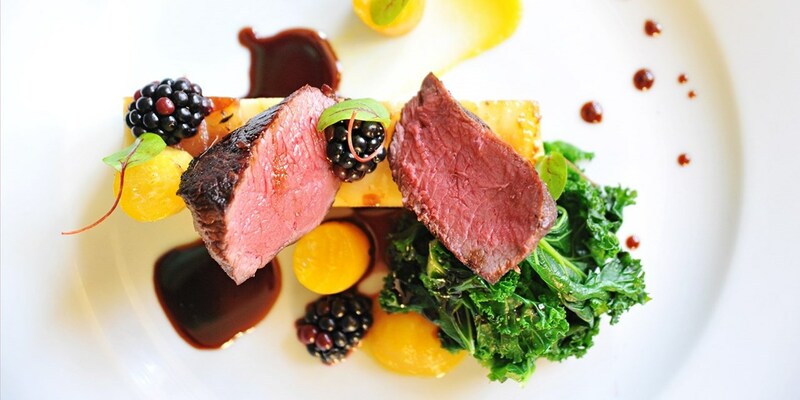 For £25, you can enjoy a 3-course lunch or dinner with coffee, wine and sourdough bread at The Wife of Bath in Wye -- which is run by Gordon Ramsay protégé Mark Sargeant. You can now spend an evening at cabaret-themed Blundell Street Restaurant in Liverpool. You and a friend will get a sharing platter, a bottle of bubbly and an evening of music from live acts and a DJ for £15 a head. 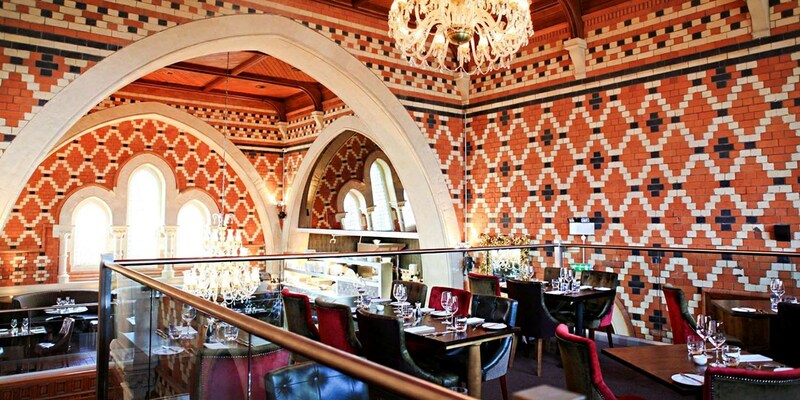 Former Cardiff Chapel: Champagne Afternoon Tea for 2, Only £25! Champagne afternoon tea for two at the "striking" (The Good Food Guide 2017) Chapel 1877 in central Cardiff is now £25, saving 51% on the regular cost. 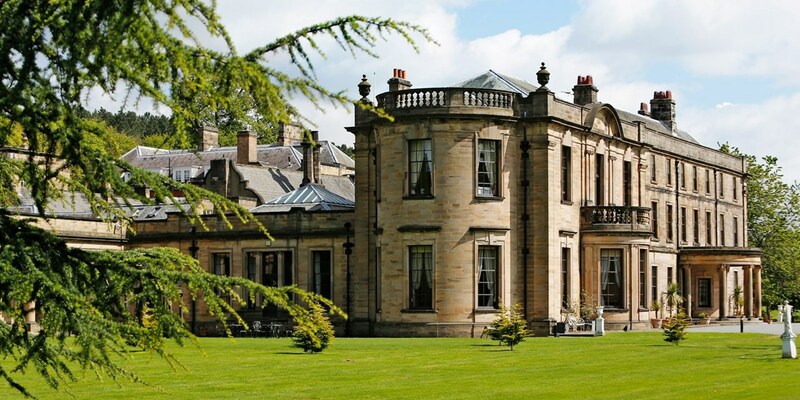 Spa Day with Treatments & Afternoon Tea near Edinburgh, Only £55! Macdonald Houstoun House, a "charming" (The AA) 17th-century property surrounded by 22 acres of Scottish woodland, is now offering Travelzoo members a spa day for £55. 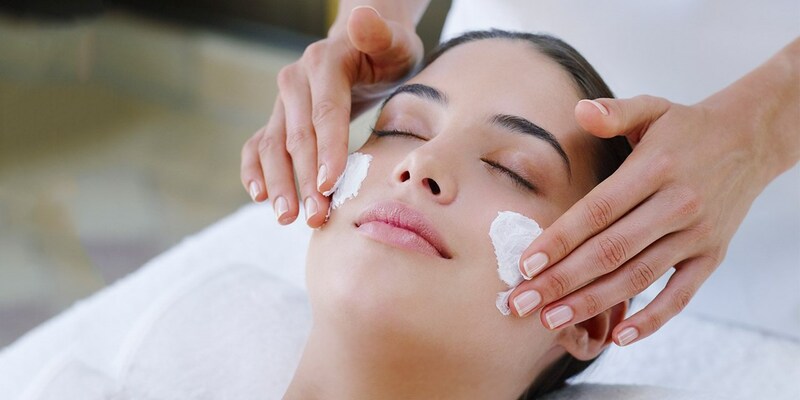 You'll get all-day use of the facilities, 60 minutes of treatment time and afternoon tea. Please see more fantastic deals below! ZSL London Zoo Stay for 2 with Sunset Tour & Dinner, 33% off! 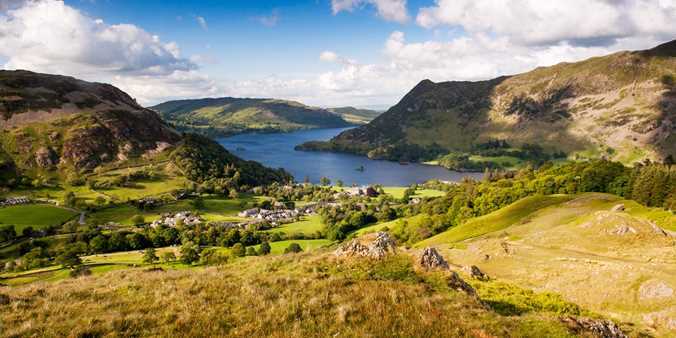 New UK short breaks, up to 74% off! Check out our brand new UK hotel deals perfect excuse to get away for a short break this summer! Travelzoo find the best deals for UK hotels and breaks throughout the year. 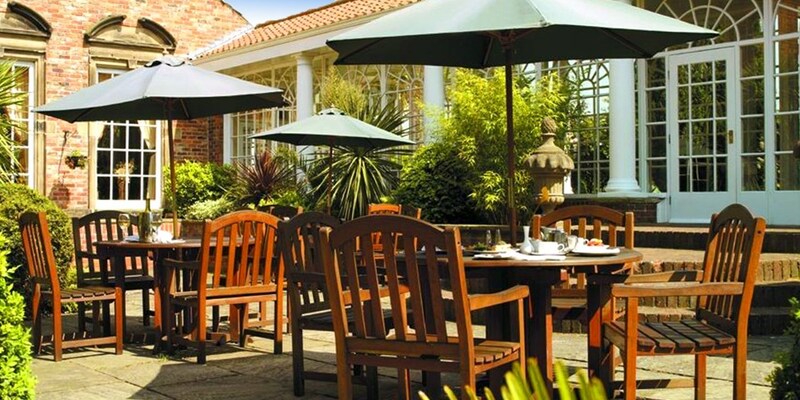 2-Night Cheshire Escape with Daily Breakfast, £190 £90! 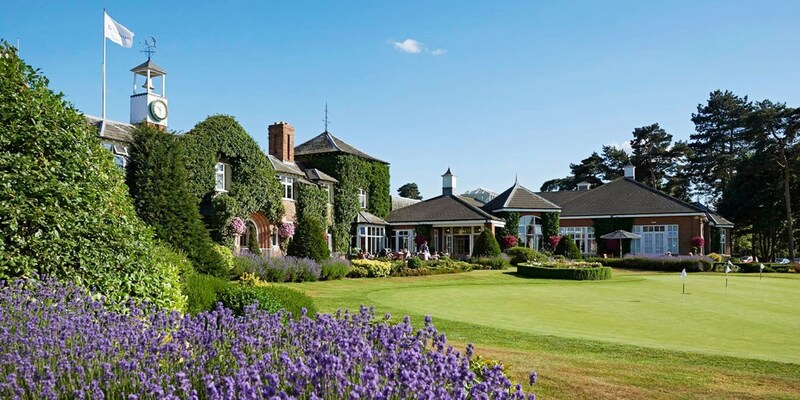 You can save up to 38% on 2-night stays at Woodside Hotel in Kenilworth, Warwickshire -- less than 10 minutes' drive from the ruins of Kenilworth's medieval castle. This summer offer includes accommodation and breakfast for two. 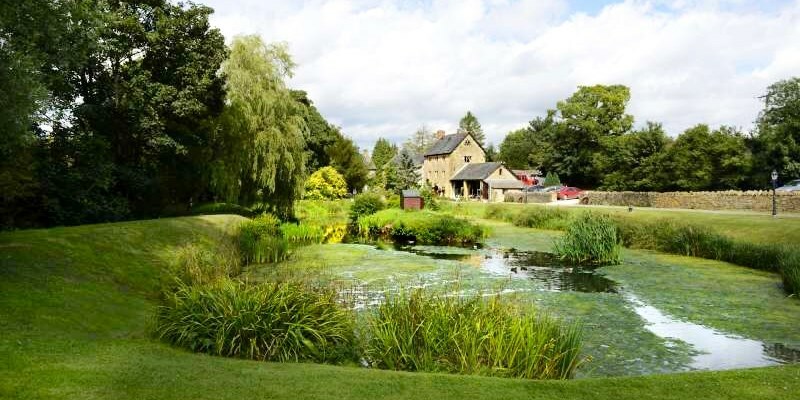 Stay at Tewin Bury Farm Hotel, which has a rural riverside setting in Hertfordshire and features a 2-AA-Rosette restaurant. This overnight offer is now £99, a saving of 38% on the usual cost. 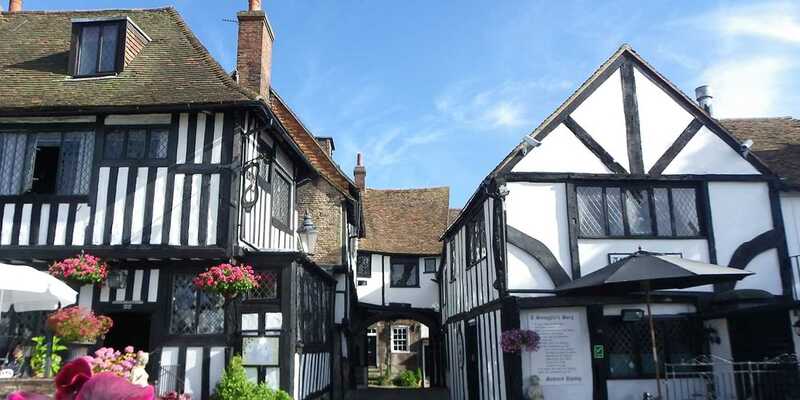 A member of the Classic British Hotels collection, the 4-star Milford Hall Hotel & Spa is a great base from which to explore historic Salisbury. 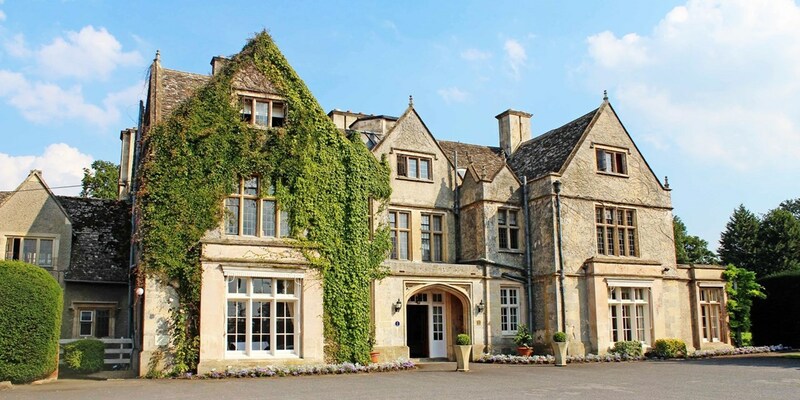 A 2-night stay for two with daily breakfast, an AA-Rosette-awarded dinner and a spa treatment each is now £199 -- saving you up to 48% on the usual price. This offer includes £120 worth of extras! 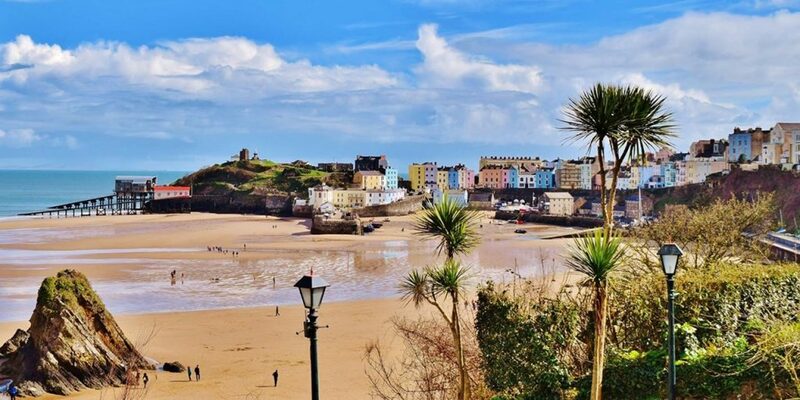 2-Night Coastal Wales Break with Dinner, Only £99! 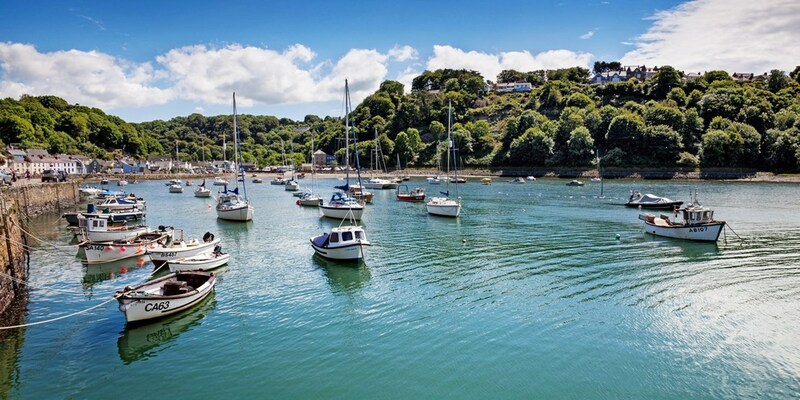 Perched atop a wooded hillside, Fishguard Bay Hotel has commanding views of the Pembrokeshire coast and the seaside town of Fishguard -- the site of the last invasion of Britain. 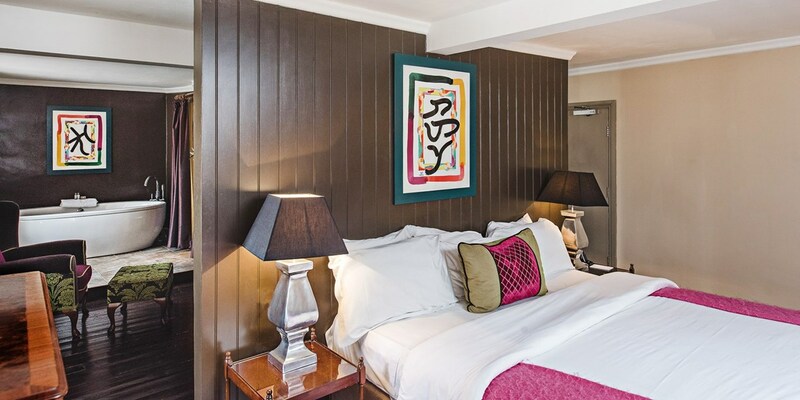 This 2-night offer with daily breakfast for £99 saves 60% on the usual price, and includes a 3-course dinner. We find the best deals for UK hotels and breaks throughout the year. Whether it’s a stay in a coastal hotel, a few days in the Lake District, or a short break in Scotland or Northern Ireland, we have got you covered. Brand New local deals from Travelzoo! Check out these fresh new Local deals from Travelzoo, with as much as 69% off! 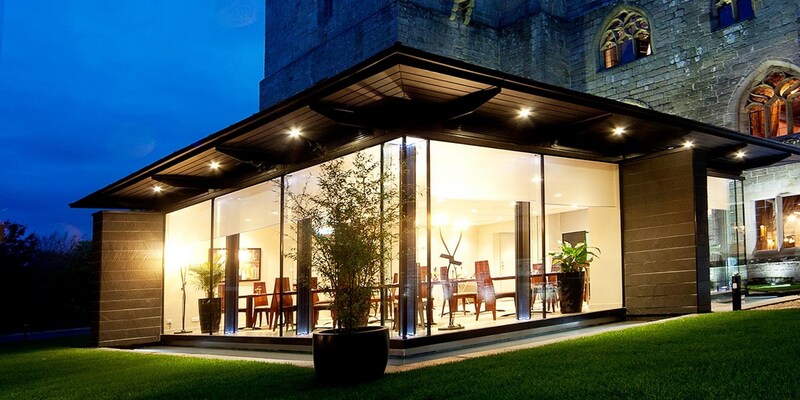 Highly Rated Dinner & Prosecco for 2 near Doncaster, Only £40! London: Glam-Rock Afternoon Tea & Spa Access for 2, Only £79! K West Hotel & Spa in Shepherd's Bush is a "super cool hotel" (the Good Spa Guide) with a 5-bubble rating from the Good Spa Guide. You can now enjoy a glam-rock afternoon tea for two plus access to the spa facilities, for £79 -- that's 46% off the usual cost. 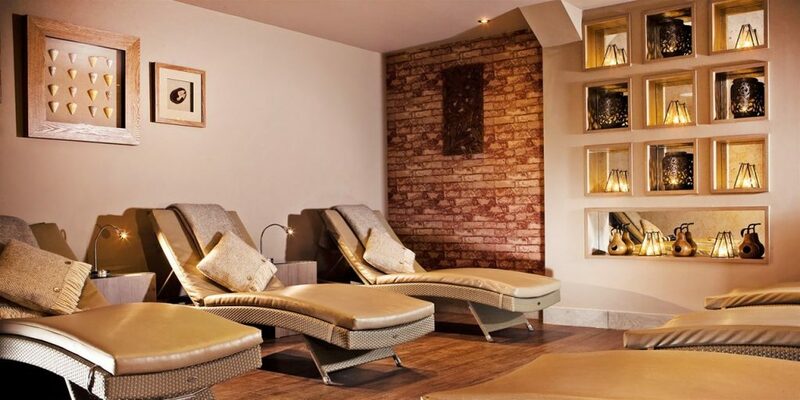 Afternoon Tea & Spa Access for 2 in Leeds, 44% Off! 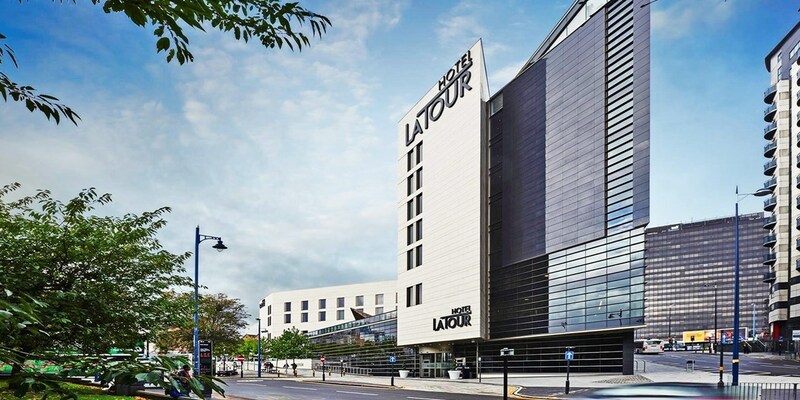 Crowne Plaza Leeds, located in the city centre, is now offering Travelzoo members afternoon tea and access to the spa facilities for £14.50 a head. 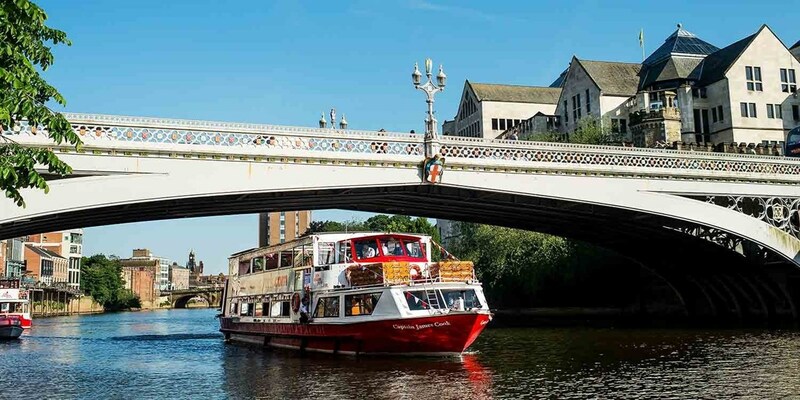 Travelzoo members can now get a floodlit cruise along the River Ouse and see some of York's most famous sights, for £6 per person. Slaley Hall is a firm Travelzoo favourite -- 92% of members who have visited the spa on a previous deal and rated it for us said they loved it. You can now get a spa day, including all-day use of the facilities and 50 minutes of treatment time, for £45. 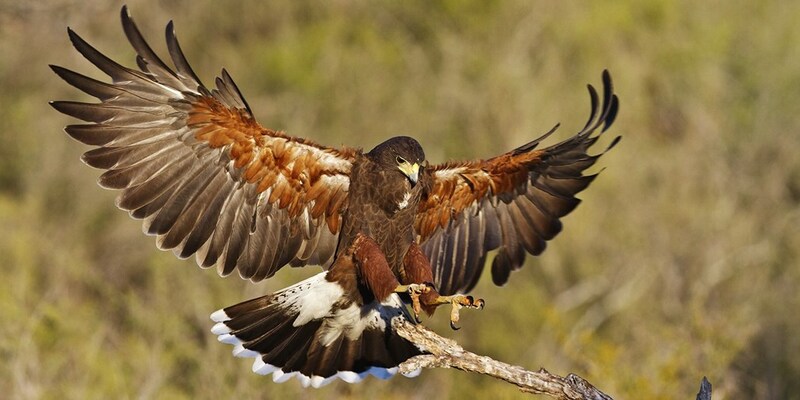 A "Hawk Walk" experience for one at the highly rated Stockley Birds of Prey in the Cheshire countryside is now £19 -- that's 62% less than usual. 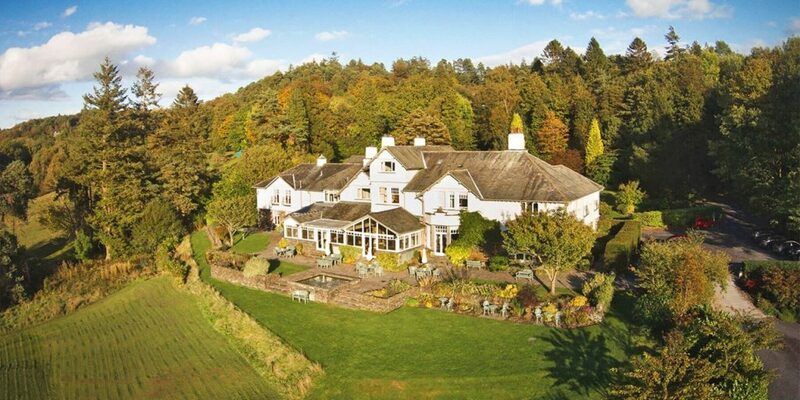 The 2-AA-Rosette Ryebeck Country House & Restaurant, which "sits majestically above the shores of Lake Windermere" (The AA), is now offering a 2-course lunch for two and a glass of prosecco each for less than £15 a head. Amazing UK hotel breaks for less than £100, from Travelzoo! Travelzoo find the best deals for UK hotels and breaks throughout the year. Whether it’s a night in a coastal hotel, a few days in the Lake District or a short break in Scotland or Northern Ireland, they have you covered! 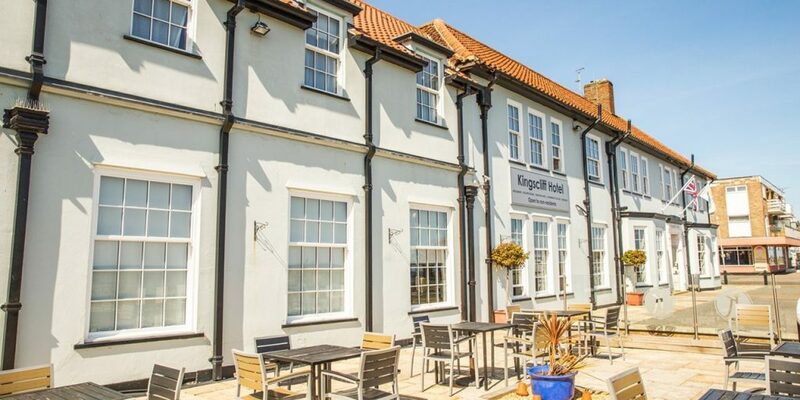 Take a trip to The Kingscliff Hotel -- which is in the "glorious location" of Holland-on-Sea and has "wonderful sea views", according to The AA -- for £89. 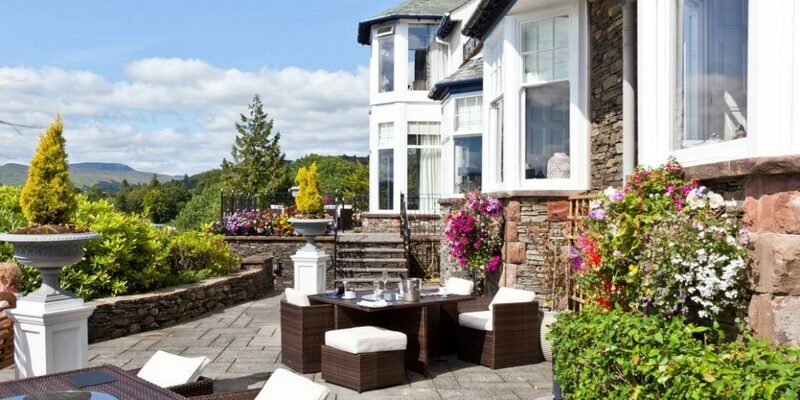 This overnight deal saves up to 41% on the usual cost and includes a glass of prosecco. 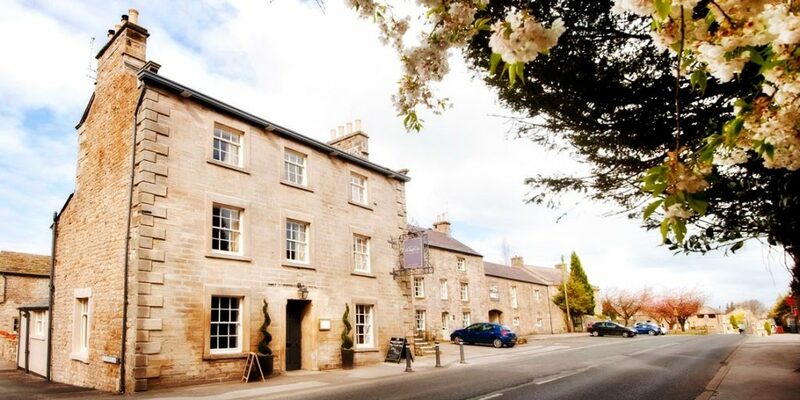 North Yorkshire Getaway with Dinner, Only £99! 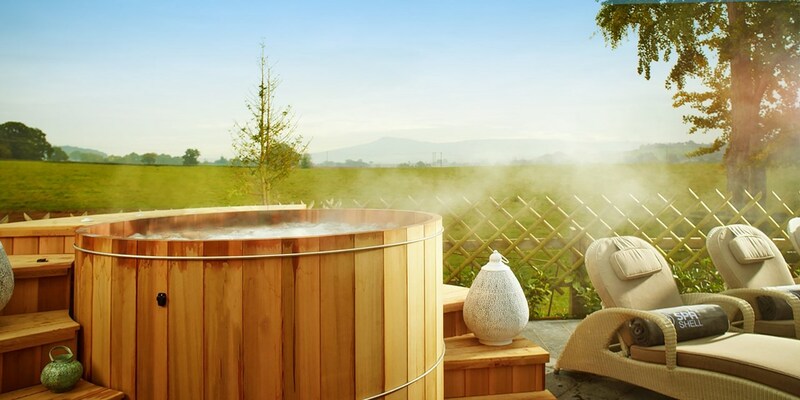 Cheshire Stay inc Breakfast & Bubbly, Only £59! 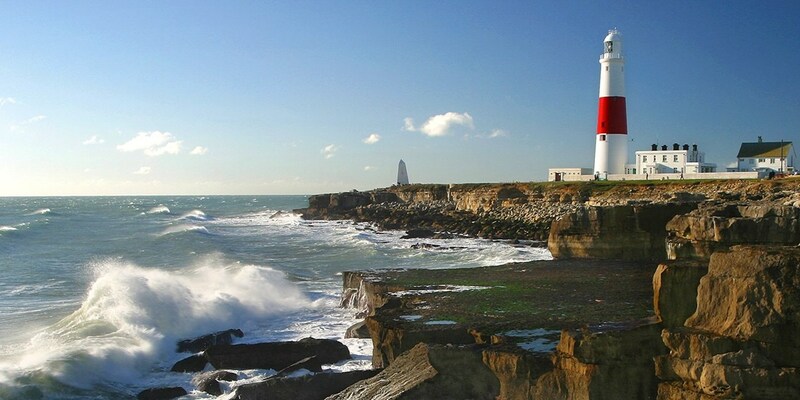 South Coast: Hampshire Break with Bubbly, Only £79! 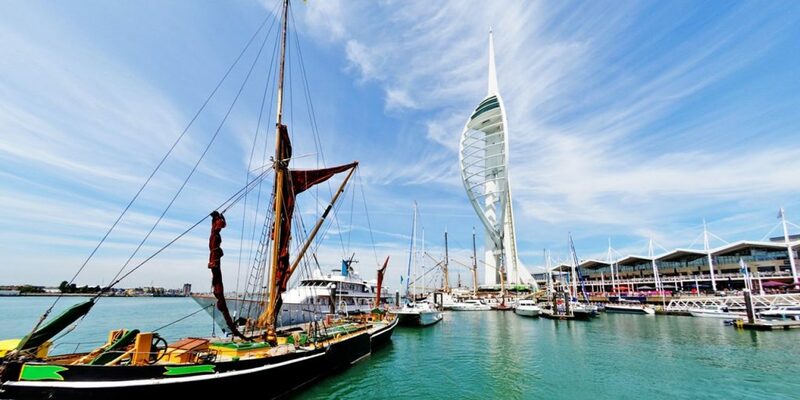 Discover the Chichester Harbour Area of Outstanding Natural Beauty, Portsmouth's Historic Dockyard and the sandy beaches of the South Coast. 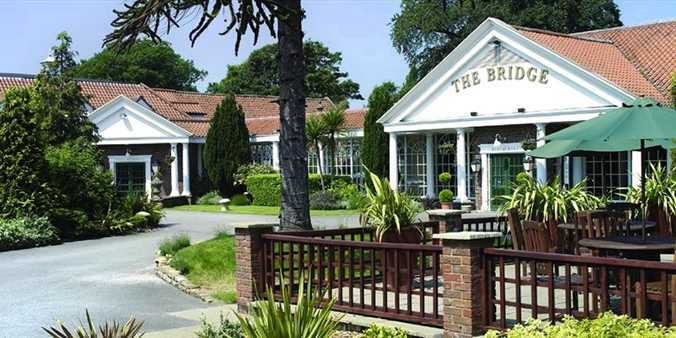 Overnight stays at Brookfield Hotel in Emsworth are now £79. 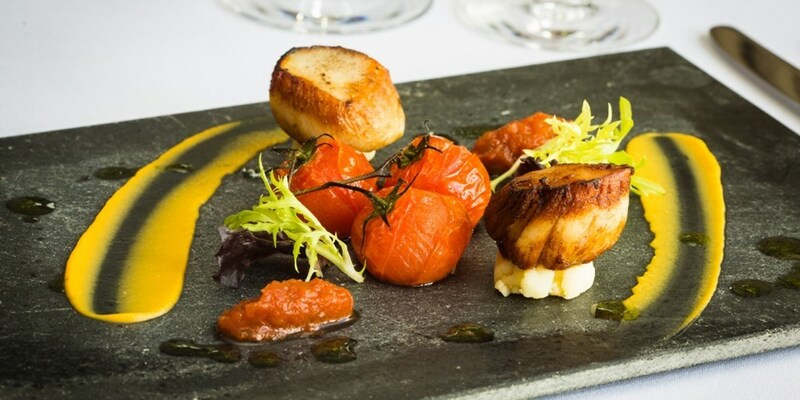 This deal saves nearly £70 on the usual price and includes a glass of prosecco each. The Castle Inn Hornby is a converted Georgian inn near the banks of the River Wenning in Lancashire. 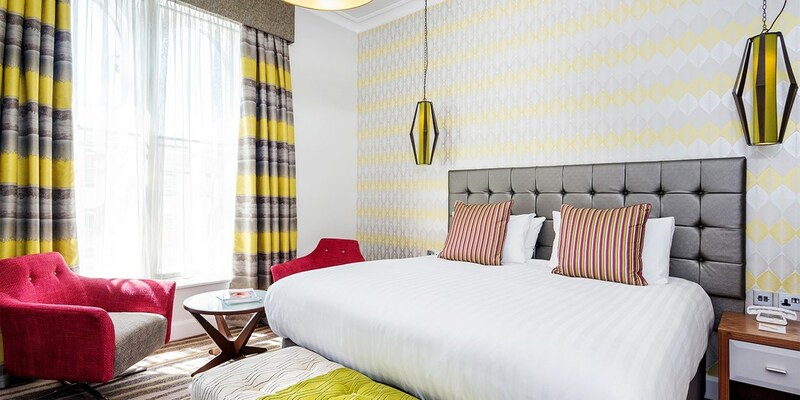 This deal will save you up to 49% on overnight stays, which are £89 and include dining credit and a bottle of wine. 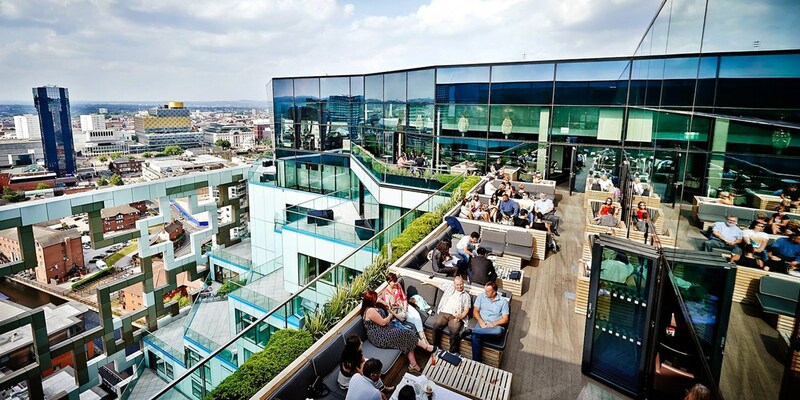 With the weekend on the horizon TravelZoo would like to share their top 20 UK hotel stays. As always first class deals with great discounts, the type of quality deals that can only be found at TravelZoo. Check out these amazing brend new local deals exclusively secured by Travelzoo! 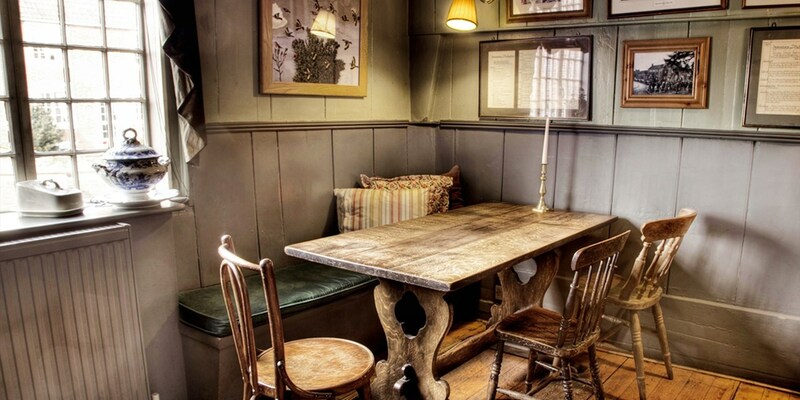 The George & Dragon is a "rustic and cosy" (The Michelin Guide 2017) 16th-century pub in the village of Rowde near Devizes. You can now get a 2-course lunch with coffee for two for £29, saving 54% on the regular cost. Village Spa Aberdeen is offering a spa day including 50 minutes of treatment time for £49 -- saving up to 47% on the regular price. Cumbrian Castle: Afternoon Tea for 2 & Grounds Entry, Only £29! 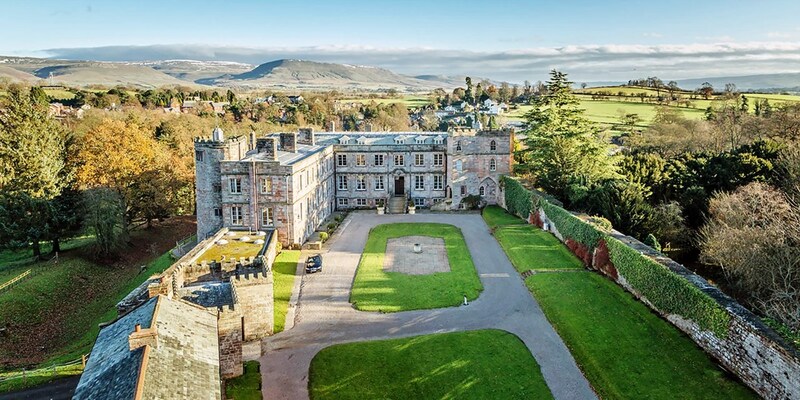 The historic Grade I-listed Appleby Castle in Appleby-in-Westmorland is now offering afternoon tea with bubbly, plus access to the 27 acres of castle grounds, for less than £15 a head -- that's 39% off the regular cost. 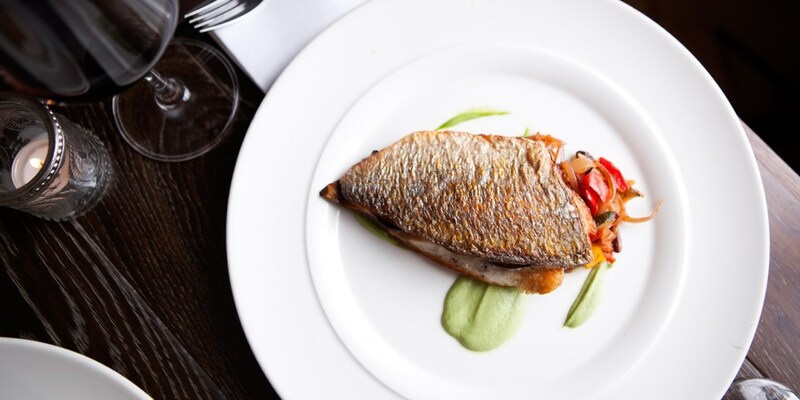 You and a friend can enjoy a 3-course Italian lunch with a glass of prosecco each at Bacco Restaurant in Richmond for less than £13 a head. 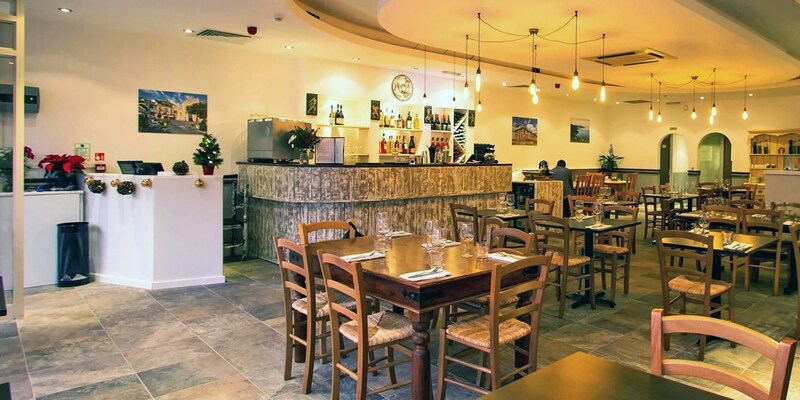 Ballarò, an Italian restaurant in the heart of Twickenham, is offering a 3-course dinner and a glass of prosecco for two for less than £18 a head. For £36, you and a friend can get a 3-course meal at Poacher's Brasserie, a "handsome" (Leicester Mercury) 17th-century property in the village of Thurlaston. Exclusive UK hotel deals, save up to 58%! 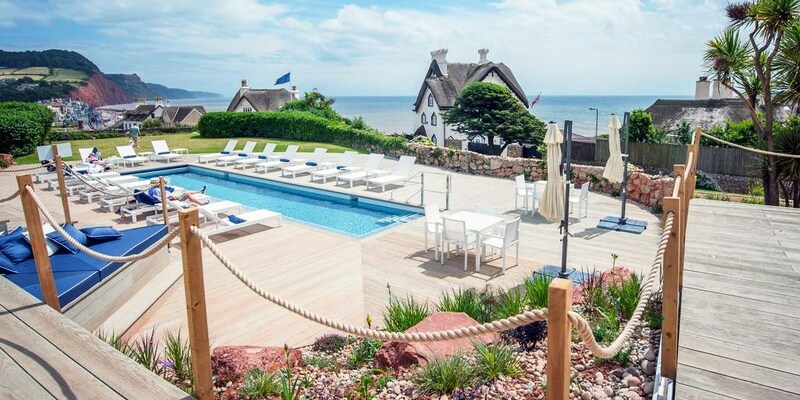 Make the most of summer with these brand new UK hotel & getaway deals! Travelzoo have secured some amazing deals exclusively to their users, save up to 58%! 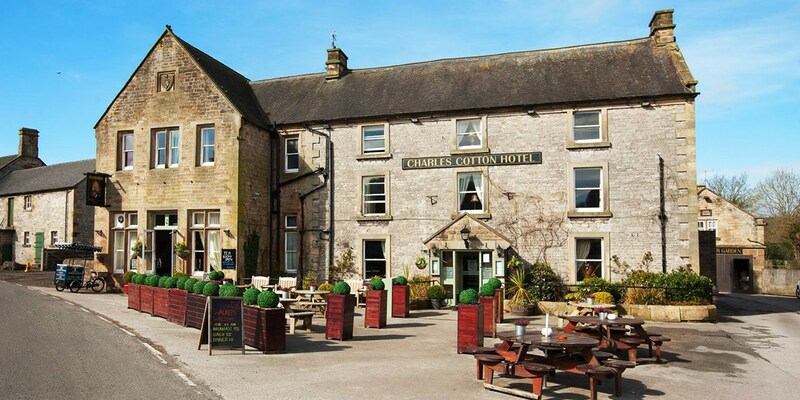 2-Nt Manor-House Stay near Peak District, Only £119! 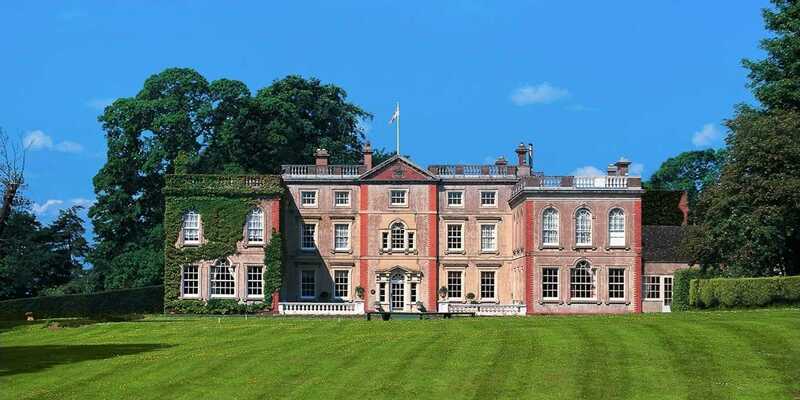 You can stay two nights at the "beautifully presented" (The AA), Grade II-listed Ringwood Hall Hotel in Chesterfield for £119. This deal saves 32% on the usual price and includes breakfast. Overnight stays at Cedar Falls Health Farm & Spa, a Travelzoo-member favourite just outside Taunton, are now £89 per person. 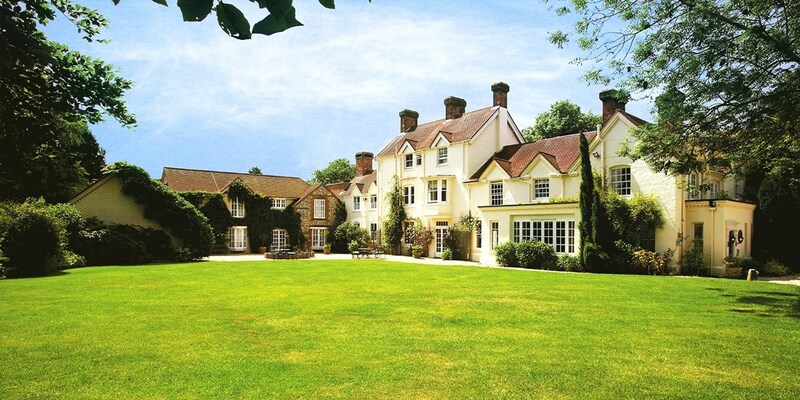 You can relax at this Georgian country manor, and enjoy a 3-course dinner, for up to £30 cheaper than usual. 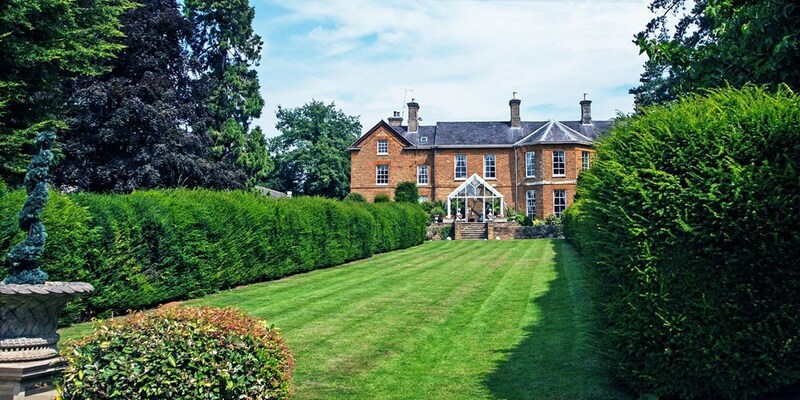 Escape this summer to Highgate House -- a 17th-century property in rural Northamptonshire with contemporary facilities -- and save up to 40% on the usual rates. 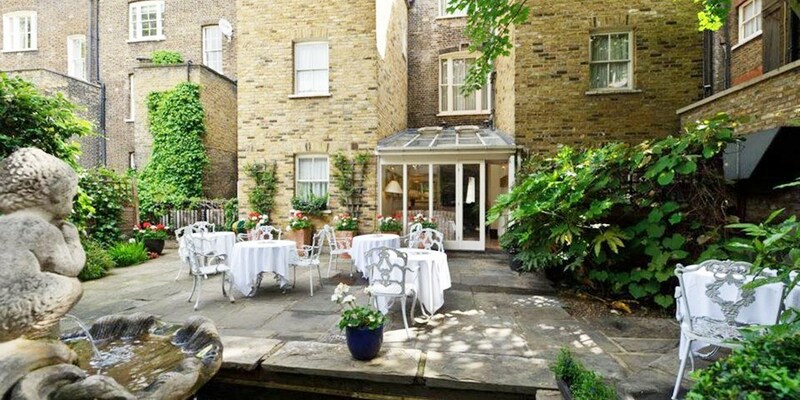 For £89, this offer includes breakfast and dinner for two. 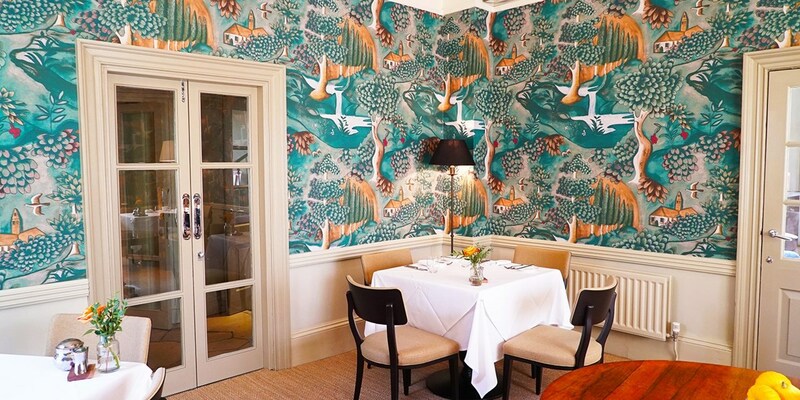 Fishmore Hall Hotel is a "boutique-chic" (The Daily Telegraph) property near the historic market town of Ludlow and the Shropshire Hills Area of Outstanding Natural Beauty. Overnight bed-and-breakfast stays for two at this award-winning hotel are now £99 per room, complete with a glass of bubbly on arrival -- that's 47% cheaper than regular rates. 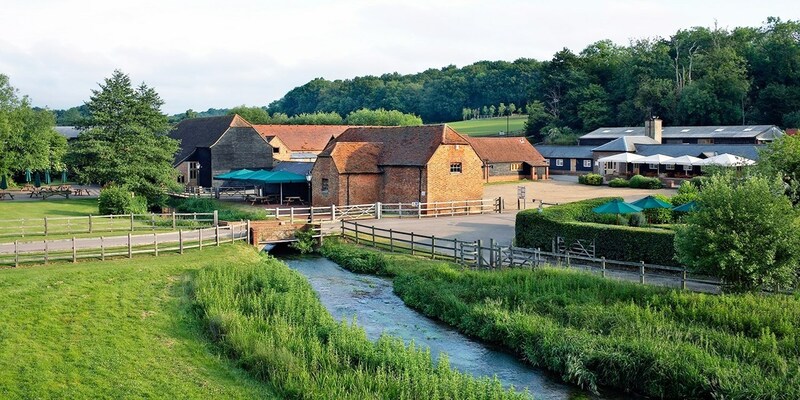 Hertfordshire Farmhouse Getaway with Wine, Only £99! Hampshire Escape with Gin Distillery Tour, Only £99! 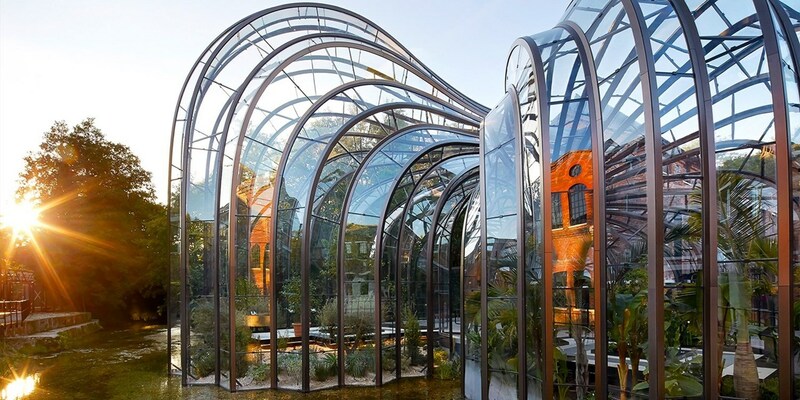 Overnight summer stays at The Lismoyne Hotel in Hampshire, including tickets to tour the Bombay Sapphire gin distillery, are now £99. This deal also includes breakfast and is up to 47% cheaper than usual. Up to 58% off summer hotel deals! Check out these fantastic new hotel & getaway deals, exclusive to Travelzoo! 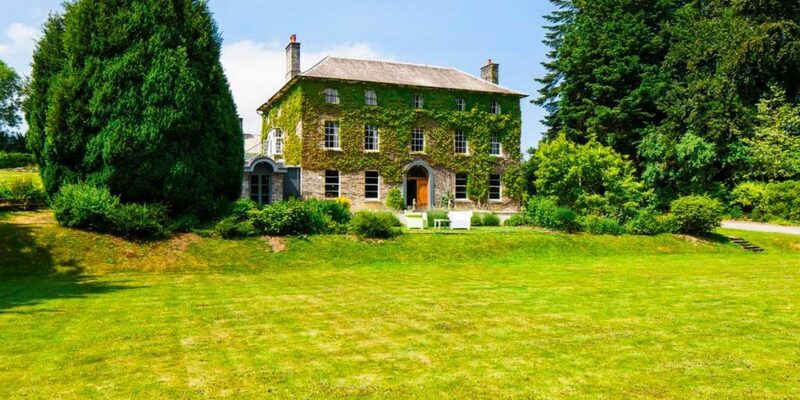 Luxury Dartmoor Getaway with Breakfast & Prosecco, 41% off! 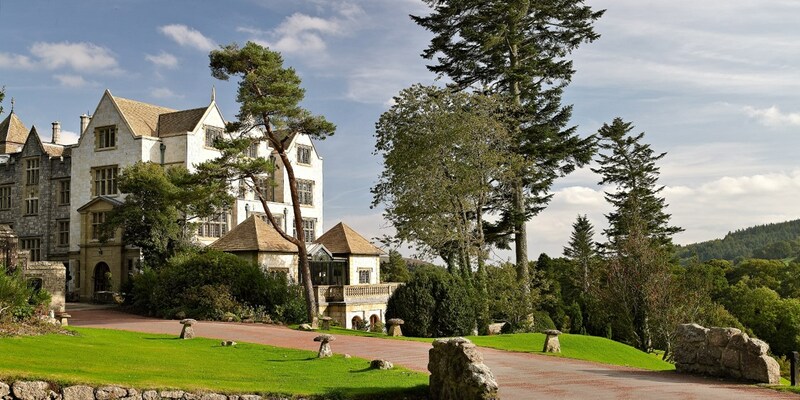 Overnight stays at Bovey Castle -- a 5-star country-house hotel in the heart of Dartmoor National Park that is praised by The Daily Telegraph for its "beautiful" views and "gorgeous period features" -- are now £175. That's up to 41% off the regular rate. 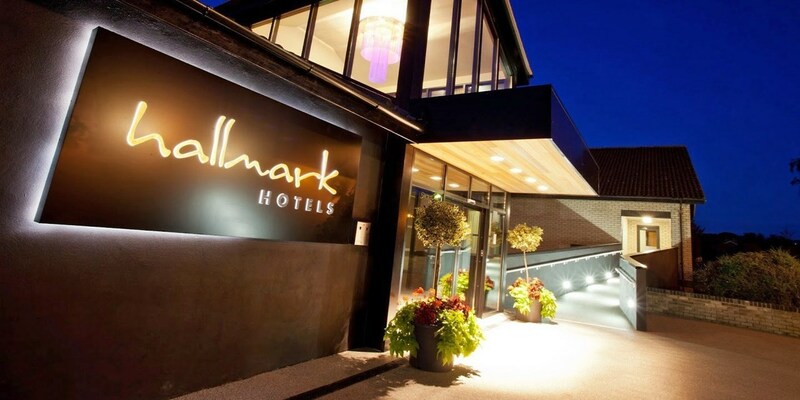 Birmingham Hotel Stay for 2 with Breakfast & Dinner, Only £129! 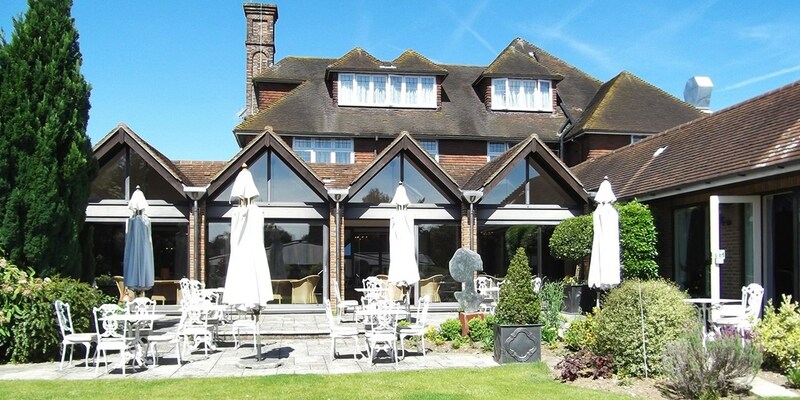 Kent Getaway with Dinner & Prosecco,Only £129! 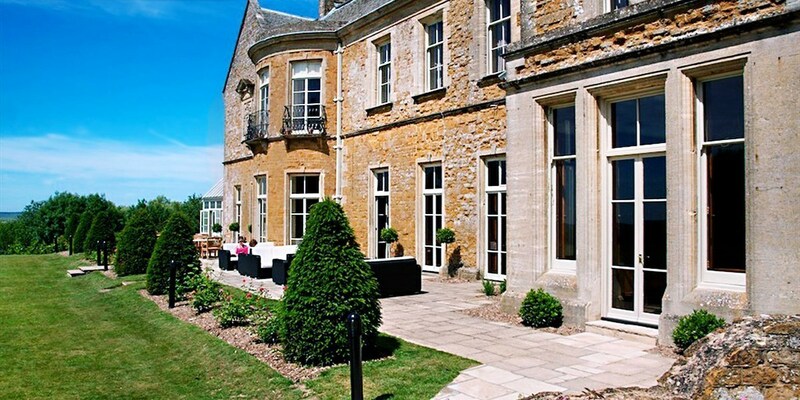 Wiltshire: 4-Star Stay for 2 including Wine, Only £69! 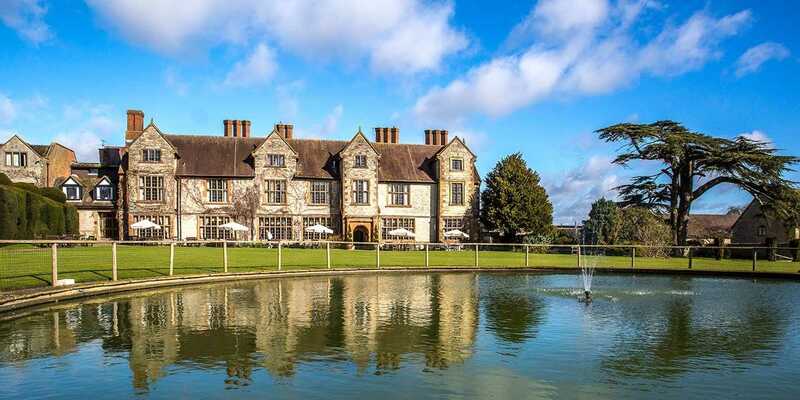 Save up to 44% on overnight stays at Oatlands Park Hotel -- a Grade II-listed manor house in Weybridge that's steeped in royal history. For less than £55 per person, this package includes breakfast and dinner for two people. 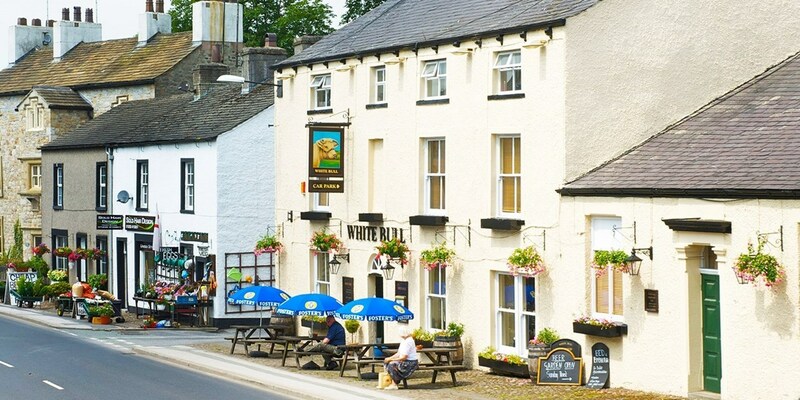 2-Night Ribble Valley Getaway with Meals & Bubbly, Only £129! Discover deals on UK breaks for summer 2017 & save up to 58%, including a break in the Lake District, a getaway in the Cotswolds & a West End hotel stay. Save up to 47% on these new deals! Check out these amazing new deals from Travelzoo, Save up to 47%! 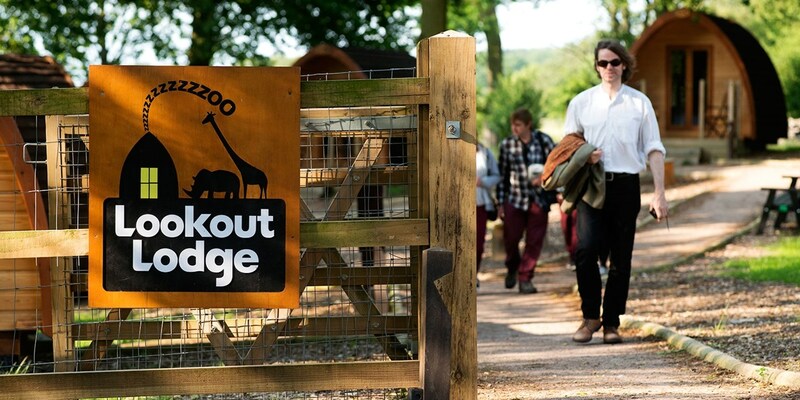 ZSL Whipsnade Zoo: Lodge Stay with Meals & Tours, only £199! 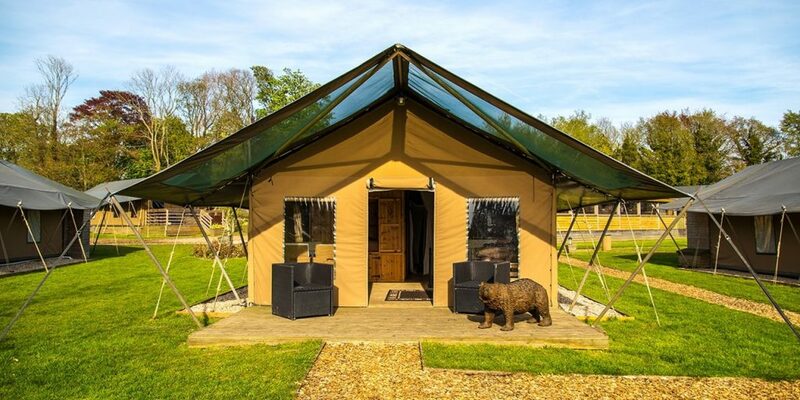 Spend the night in your own private lodge next to white rhinos and enjoy safari-style sunset tours and torchlight walks -- all just north of Luton at ZSL Whipsnade Zoo. This once-in-a-lifetime experience is now £199 for two -- 47% less than usual. 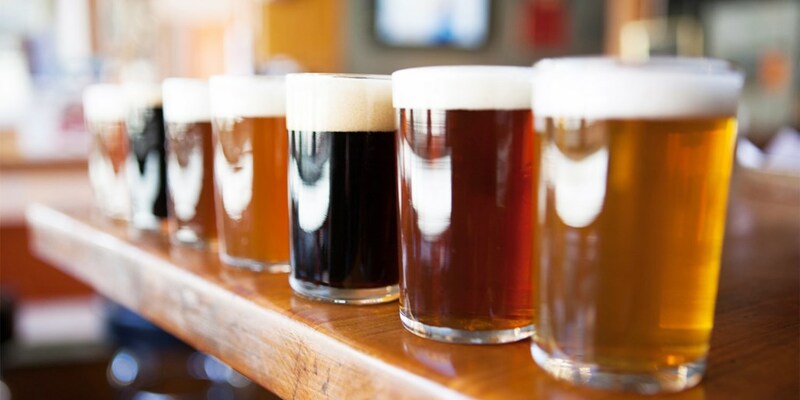 The award-winning Bespoke Brewing Co at Mitcheldean is now offering a brewery tour for two, including a tutored beer tasting and a gift to take home, for £14 -- that's a saving of 41% on the regular price. East Sussex: Winery Tour inc Tastings for 2, Only £23! 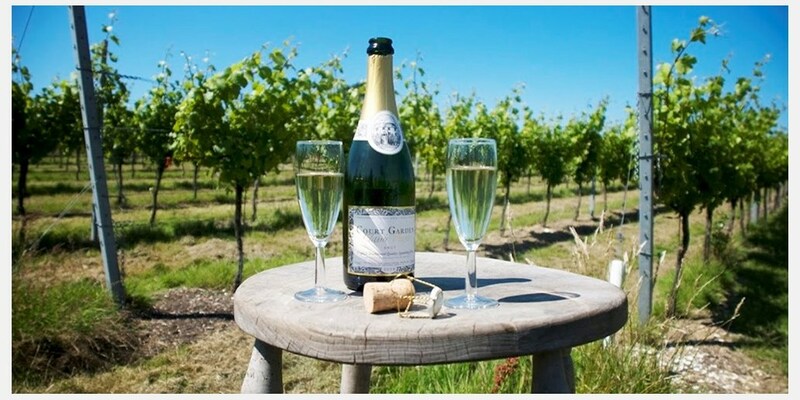 Court Garden Vineyard, in the South Downs National Park is now offering a guided winery tour for two followed by a tutored tasting of four English sparkling wines for less than £12 per head. 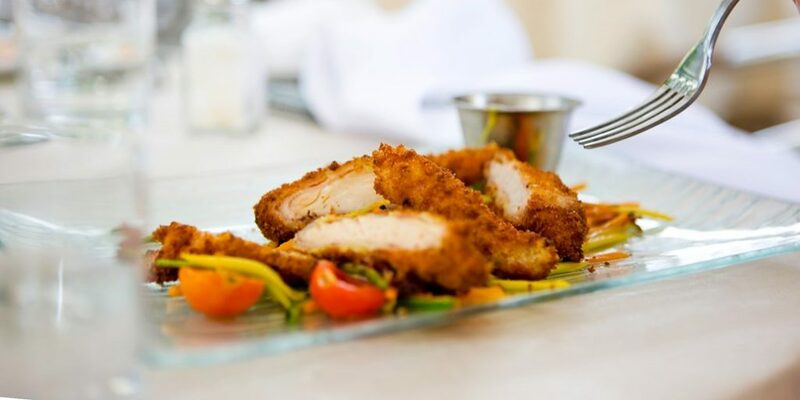 You and a friend can now enjoy a 3-course lunch or dinner with a bottle of wine to share at The Grill at Amba Hotel Marble Arch for £18 a head. 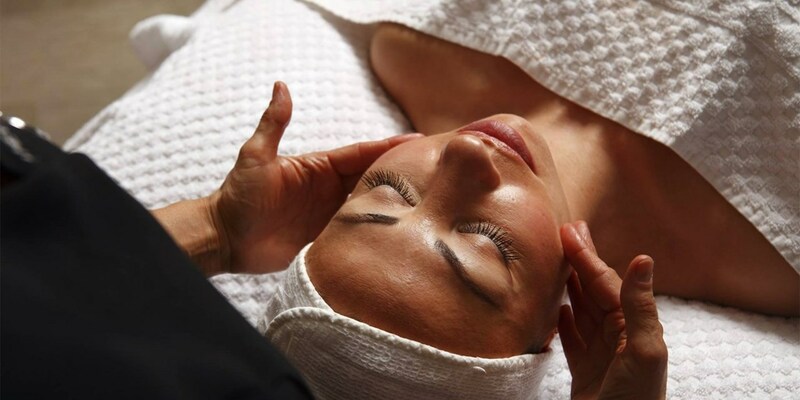 Spa Day with ESPA Treatment & Lunch near Bristol, Only £59! 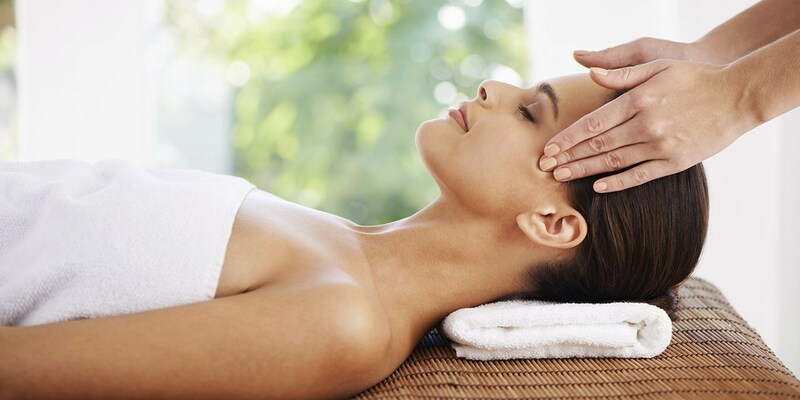 The 4-star Aztec Hotel & Spa in Almondsbury is now offering a spa day with 55 minutes' treatment time and a 2-course lunch for £59, saving up to 44% on the regular cost. 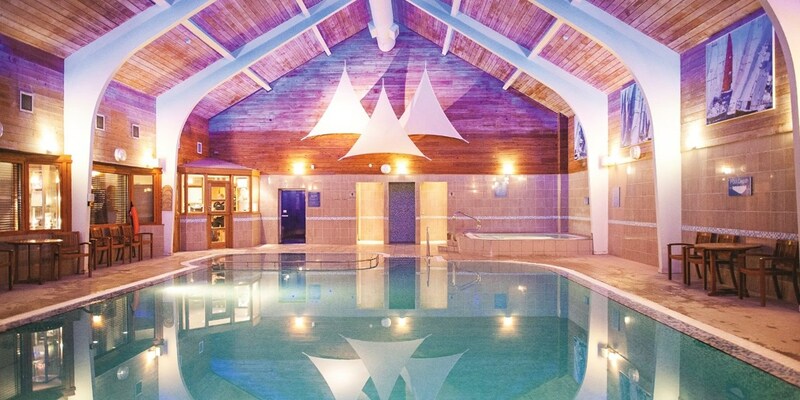 The 4-star North Lakes Hotel & Spa near Penrith is now offering a spa day with 55 minutes' treatment time and a 2-course lunch for £59, saving up to 47% on the regular cost. Brand new summer deals, up to 54% off! Check out this brand new hotel & local deals from travelzoo, make the most of the British Summer from amazing glamping deals, stunning hotels & amazing spa & afternoon deals! 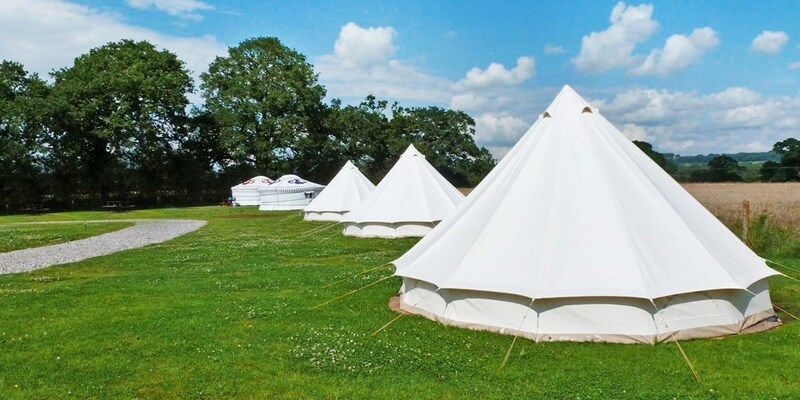 Dorset: Glamping Bell-Tent Stay for 4, Only £66! Camp under canvas, toast marshmallows over an open fire and wake up to a view of the rolling Dorset countryside. An overnight glamping stay for four is now £66 -- that's £16.50 per person. A 2-night bed-and-breakfast break at a 17th-century country house in Hartington -- "one of the prettiest villages in the Peaks" (Rough Guides) -- is now £99. 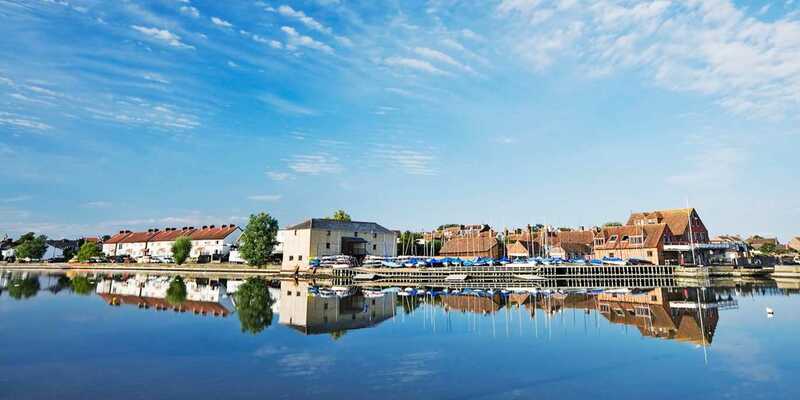 Bedfordshire Riverside Escape with Dinner, Now only £119! 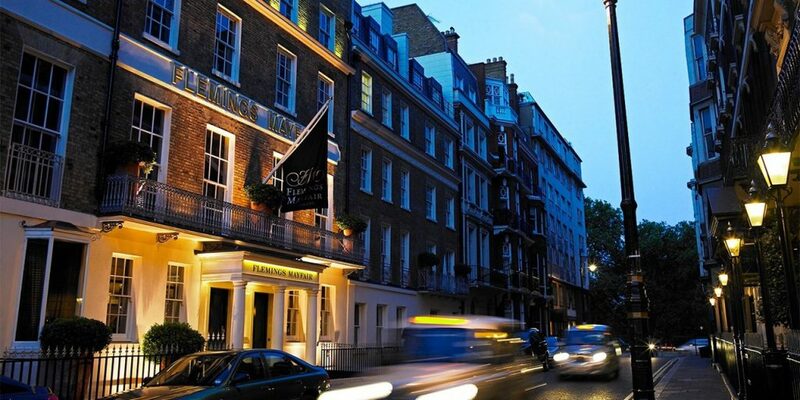 London: West End Stay with Bubbly, Only £119! 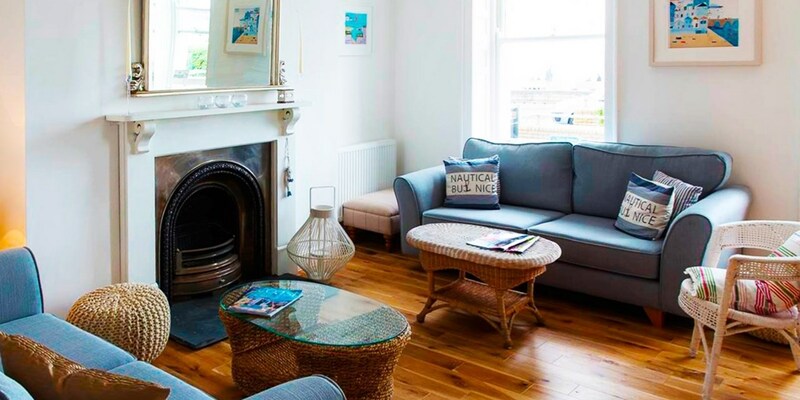 Brand-New Edinburgh Apartment Stay, From £89! Cardiff: Hendrick's Afternoon Tea & Spa Access for 2, Only £49! 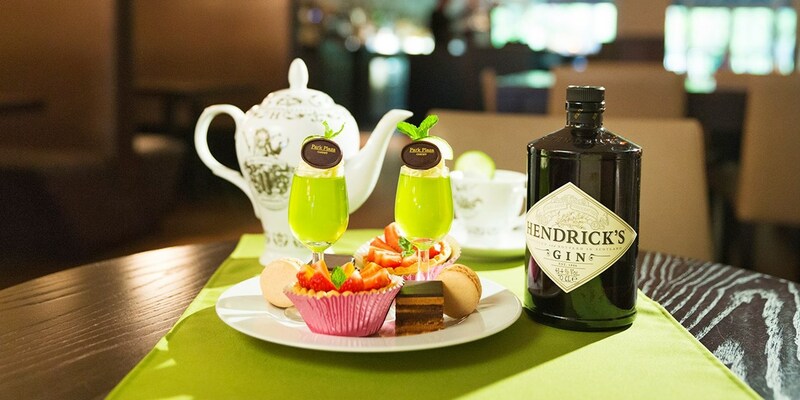 For £49, you and a friend can get a Hendrick's G & Tea afternoon tea, which includes a gin-based cocktail served in a teapot, and use of the spa facilities at the 4-star Park Plaza Cardiff hotel. You can get afternoon tea with a view at Rhos Fawr Restaurant in Anglesey. The venue is now offering a choice of three different afternoon teas, plus a glass of bubbly, for less than £13 a head. 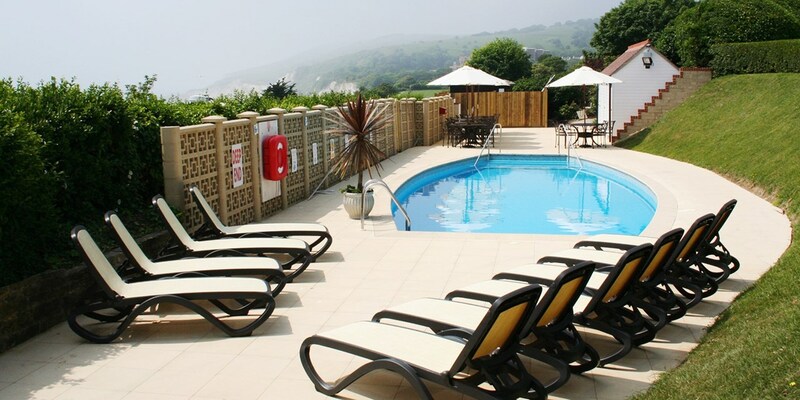 Spa Day inc Facial, Cream Tea & Jurassic Coast Views, Only £59! Sidmouth Harbour Hotel stands above Sidmouth beach with "spectacular views" (The Daily Telegraph) of the Jurassic Coast. With this exclusive Travelzoo offer, you can get a spa day, including cream tea and a treatment, for up to 33% less than usual. Amazing hotel & local deals ending soon! Don't miss out on these incredible hotel & local deals from Travelzoo! 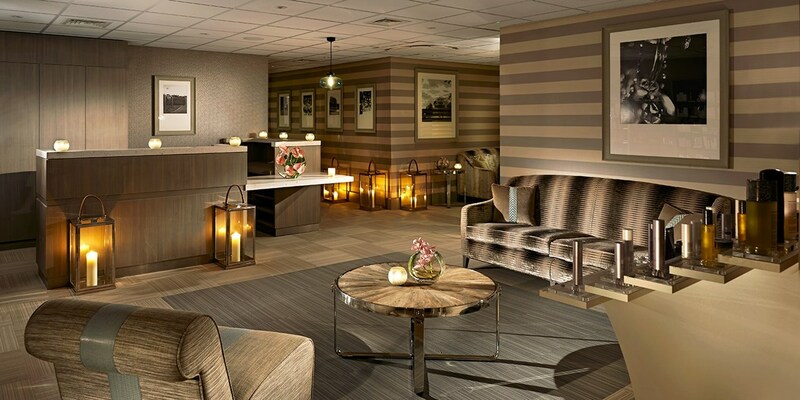 The "exquisite" (The Daily Telegraph) spa at The Grand Brighton is now offering a spa day with up to 55 minutes' treatment time, all-day use of the facilities and refreshments for £49, saving up to 38% on the regular cost. 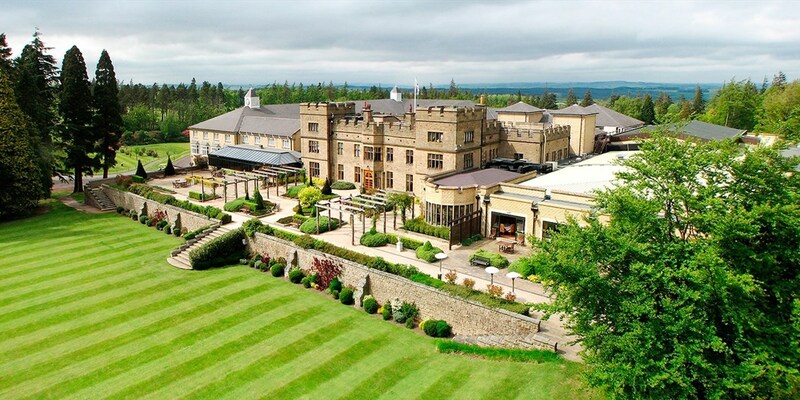 Save up to 36% on a 2-night mini break at a property that Red magazine calls "one of the most lavish hotels in Yorkshire". This deal from Oulton Hall is now £105 per person for summer stays, instead of the usual £166. 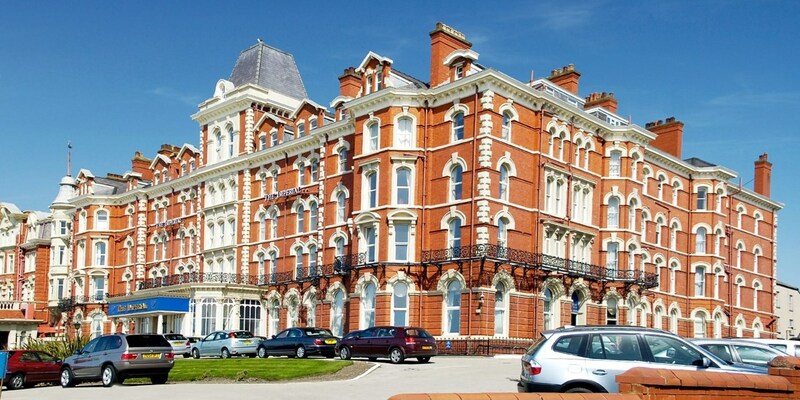 New Boutique Llandudno Hotel Stay with Dinner, Only £119! 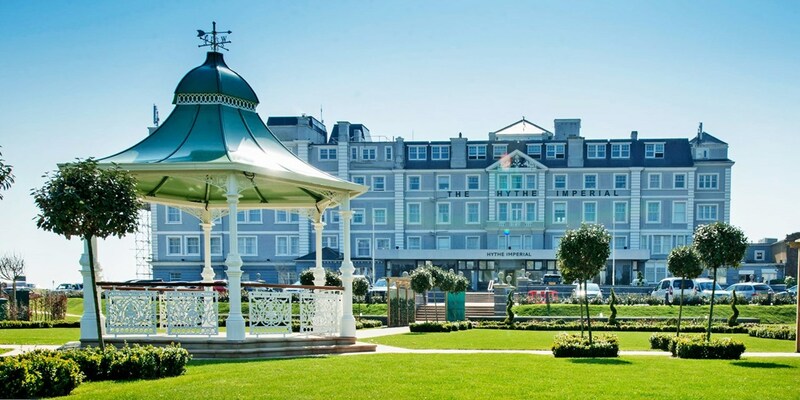 Belmont Llandudno is a newly opened townhouse hotel overlooking Llandudno's sweeping bay. 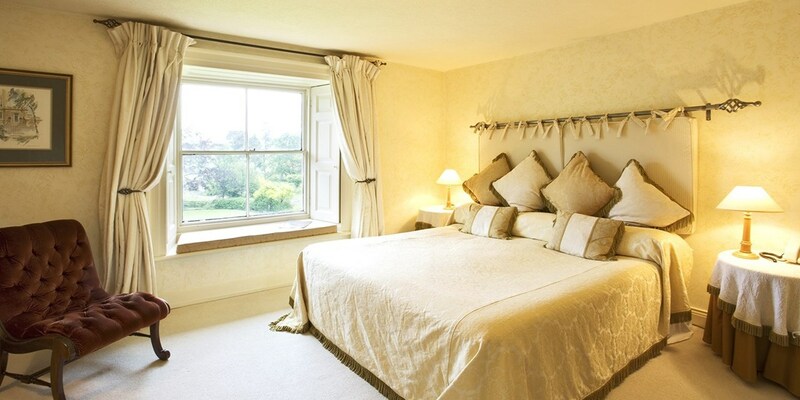 Overnight stays with dinner included are now £119 (£129 Saturdays), saving 35% on the usual cost. 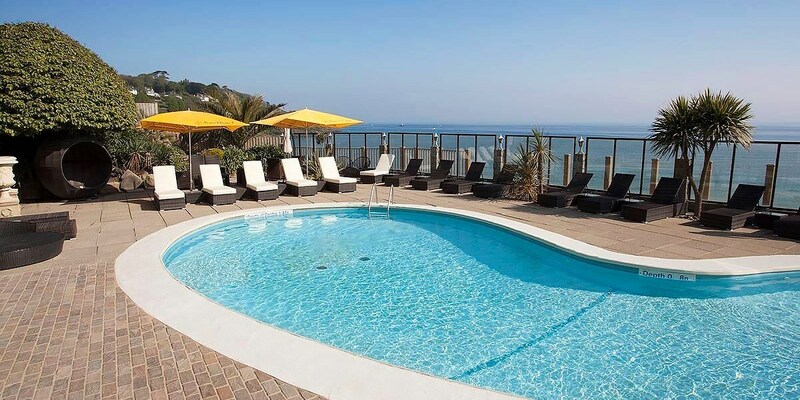 Eastbourne Coast Stay with Cream Tea, Only £89! 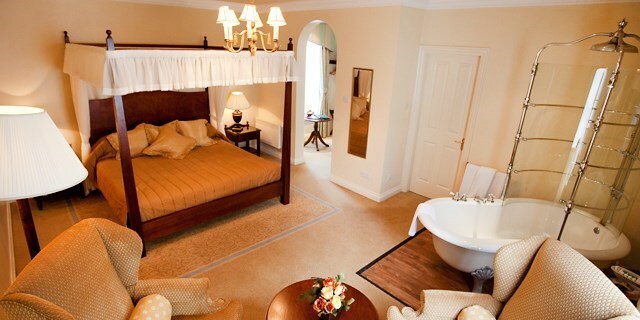 Nottinghamshire Stay with Dinner & Prosecco, Only £89! 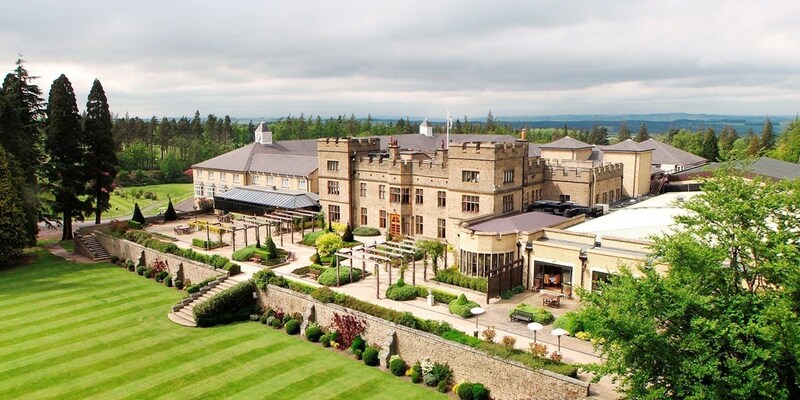 Set in1000 acres of Northumberland countryside, Slaley Hall is a rural retreat with top-notch spa and golf facilities, as well as an "impressive" restaurant (The AA). 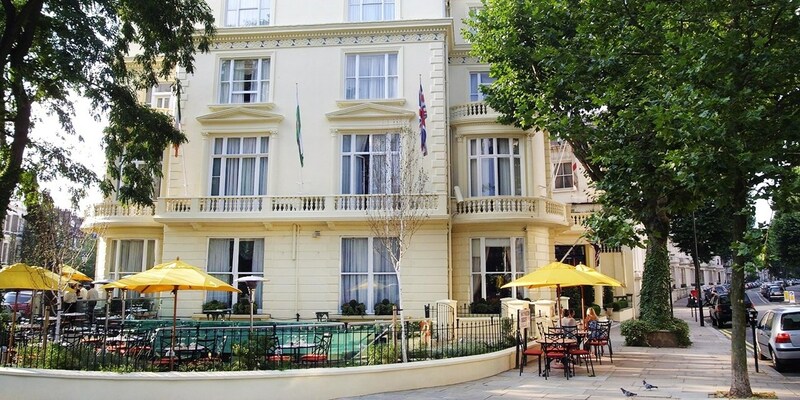 You can now stay two nights for£110 per person, and save 36% on regular rates. 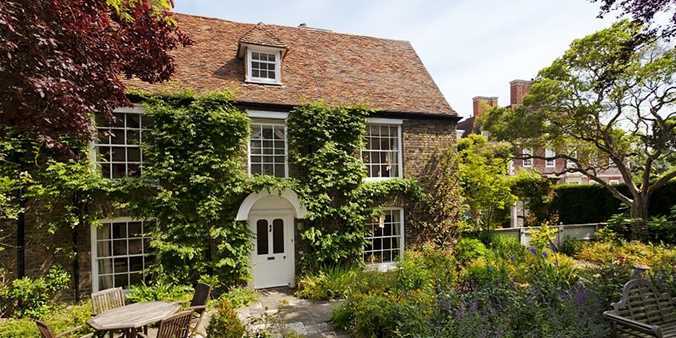 Suffolk Country-House Stay with Breakfast, Only £89! Northamptonshire Mansion Stay with Wine, 45% off! Covent Garden: 'Vibrant' Indian Lunch & Drink for 2, Only £29! 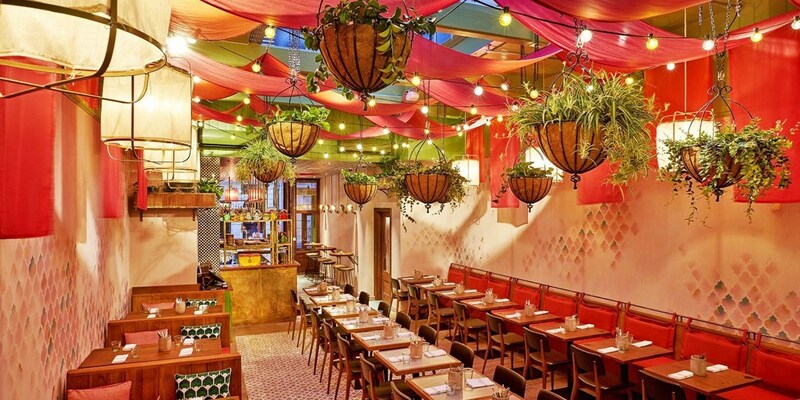 The newly opened Cinnamon Bazaar in Covent Garden offers "vibrant and versatile" Indian dishes with "interconnected flavour combinations" (Luxury Lifestyle Magazine). You can now enjoy a 2-course lunch for two with a cocktail each for less than £15 a head. Cinnamon Bazaar in Covent Garden offers a "playful" setting with "bold colours mirroring that of their innovative multi-cultural concept" (Luxury Lifestyle Magazine). 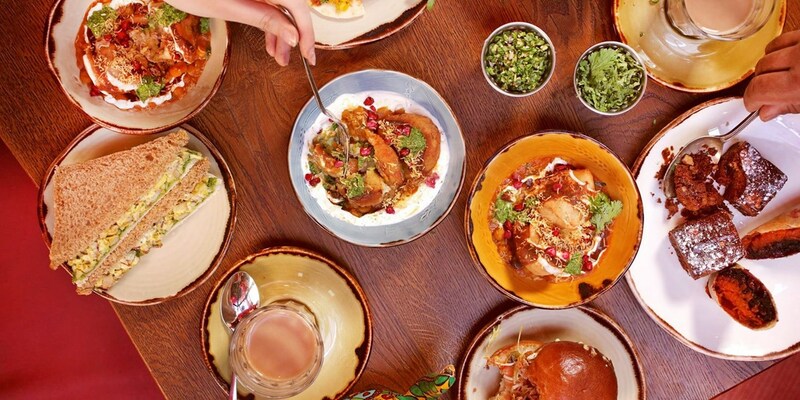 You can now enjoy Indian-style afternoon tea for two for less than £10 a head. 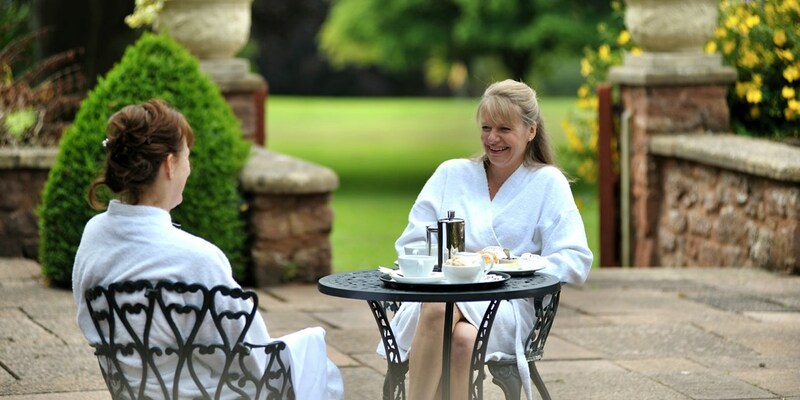 'Luxurious' Warwickshire Spa Day & Afternoon Tea, Only £49! The spa at The Belfry Hotel & Resort in Wishaw has a maximum 5-bubble rating from The Good Spa Guide. You can now visit for a spa day, including a choice of a 40-minute treatment and afternoon tea, for £49. 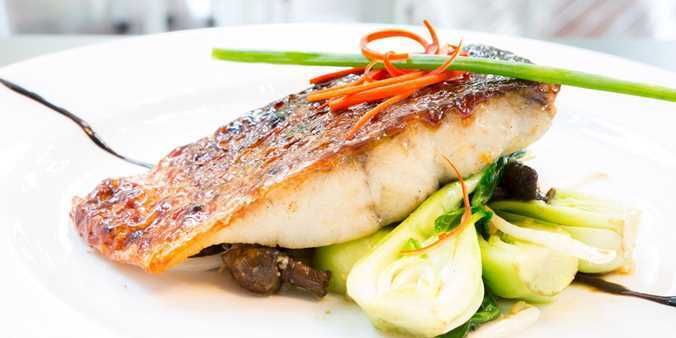 Top-Rated Sussex Pub: 3-Course Meal & Bubbly for 2, 40% off! AA-Rosette-awarded The Earl of March in the village of Lavant offers the "perfect blend of contemporary styling and relaxed country character", says The Michelin Guide 2017. You can now enjoy a 3-course meal with a glass of bubbly for less than £20 a head. 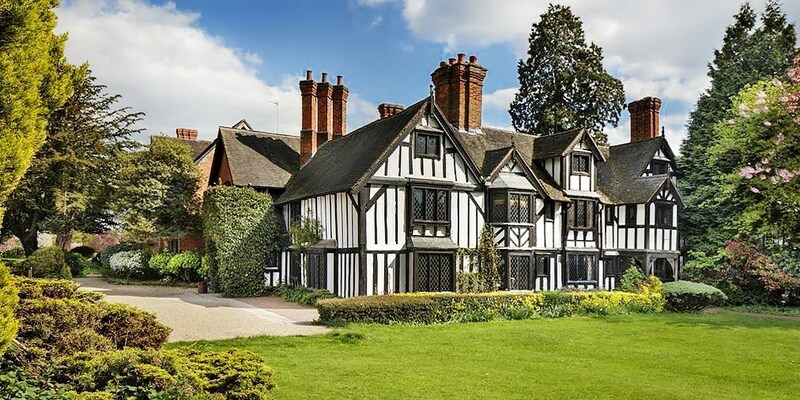 The Grade II-listed Seckford Hall Hotel, an "impressive" (The AA) Tudor mansion in the Suffolk countryside, is offering a 2-course lunch in the 2-AA-Rosette restaurant for two for £25 -- saving up to 41% on the usual cost. 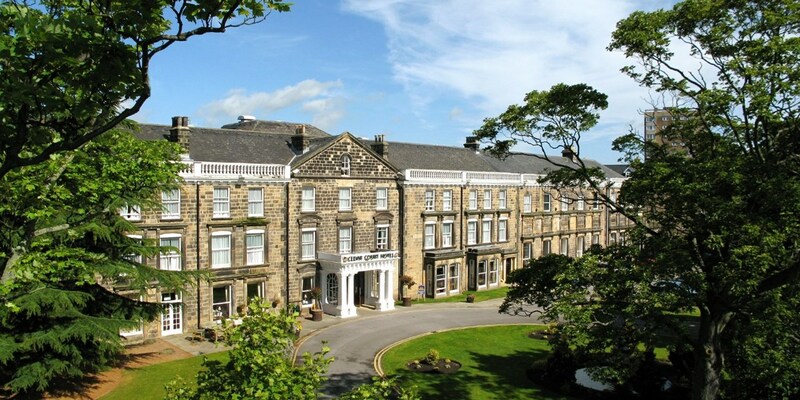 County Durham Getaway with Breakfast & Afternoon Tea, Only £89! 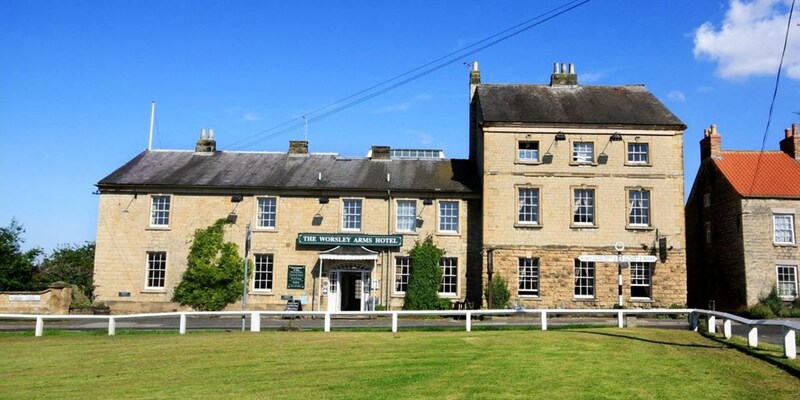 You can now save up to 34% on stays at Best Western Beamish Hall Hotel, which is set in a 24-acre estate close to Durham. Overnight breaks for two at this 18th-century manor-house hotel are now £89 including breakfast and afternoon tea. Incredible UK hotels deals, up to 42% off! Check out these amazing hotel & getaway deals from Travelzoo, huge discounts & added extras! 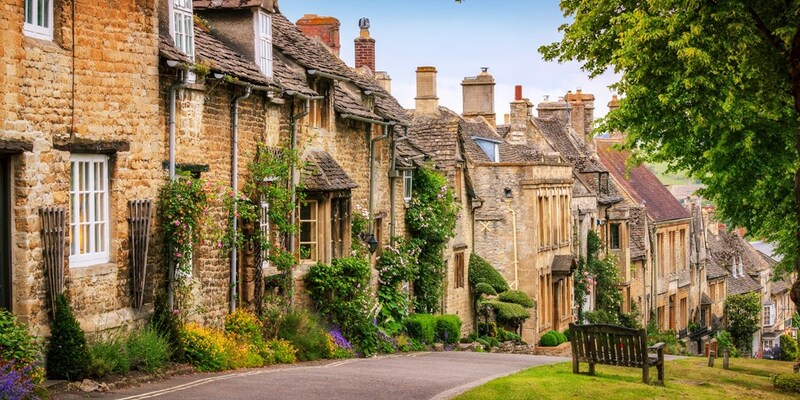 Cotswolds: Country-House Stay with Meals, Only £159! 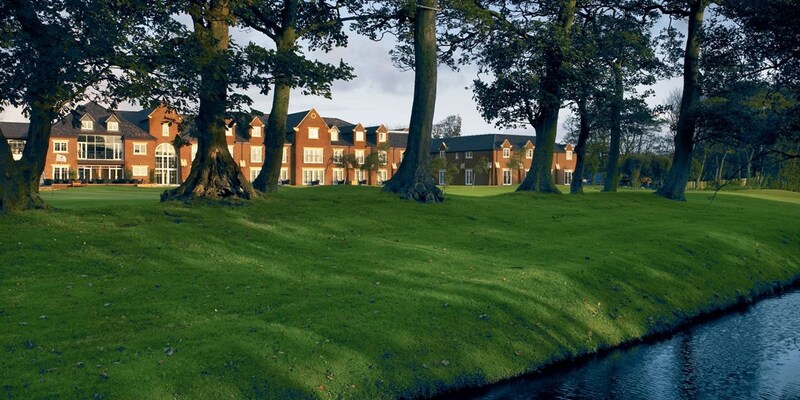 For £129, stay overnight with dinner and a spa-day package included at Formby Hall Golf Resort & Spa, which is fresh off a £2.4 million refurbishment. Set in 200 acres of parkland, the hotel is just over a mile from Formby Beach and 20 minutes' drive from Crosby Beach, where you’ll find 100 of Antony Gormley's cast-iron statues looking out over the bay. 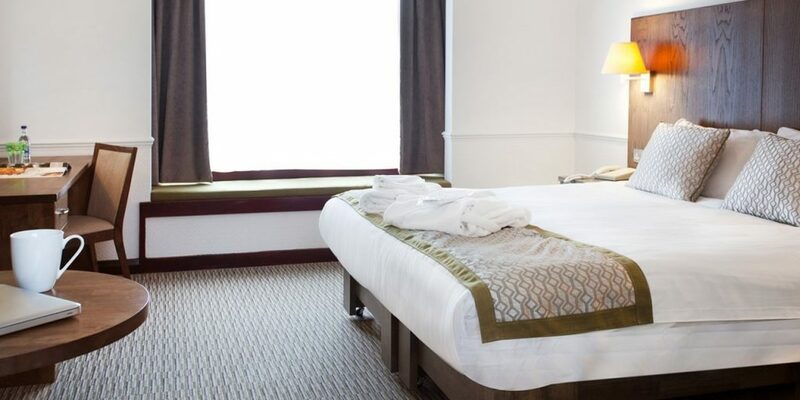 'Grand' Blackpool Seafront Stay with Dinner & Prosecco, Only £99! 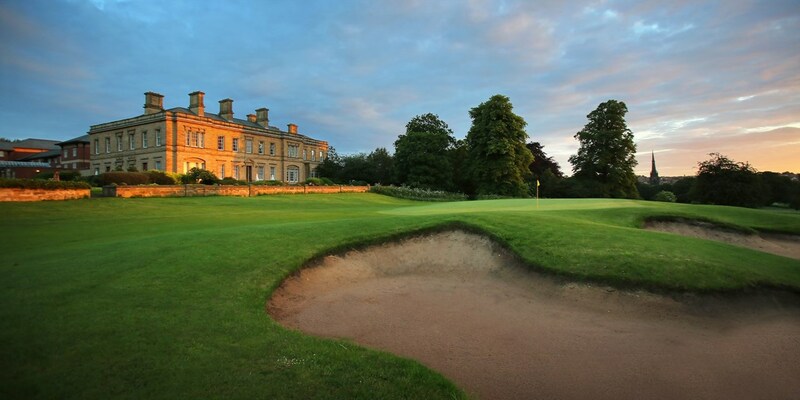 Oxfordshire Coaching-Inn Stay with Dinner, Only £99! 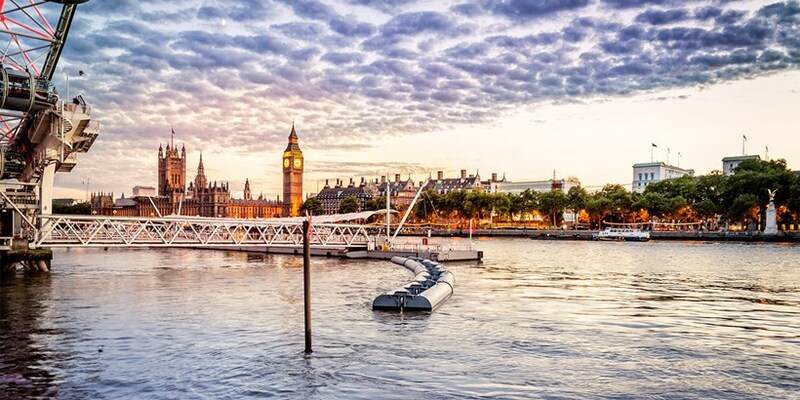 Fantastic London deals from Travelzoo! Check out these brilliant new London deals from Travelzoo! West End: Chateaubriand Steak & Unlimited Fries for 2, Only £42! 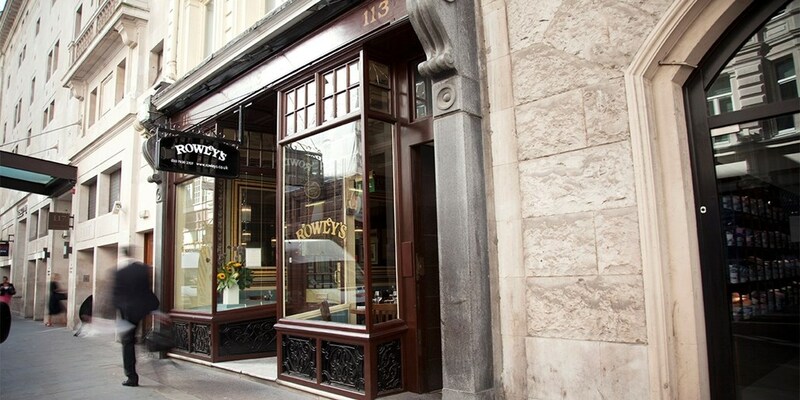 For £42, you and a friend can enjoy a chateaubriand meal in the West End at Rowley's, which "has a certain gastronomic pedigree" and "may very well be the finest steak and chips joint in the land" (The Daily Telegraph). 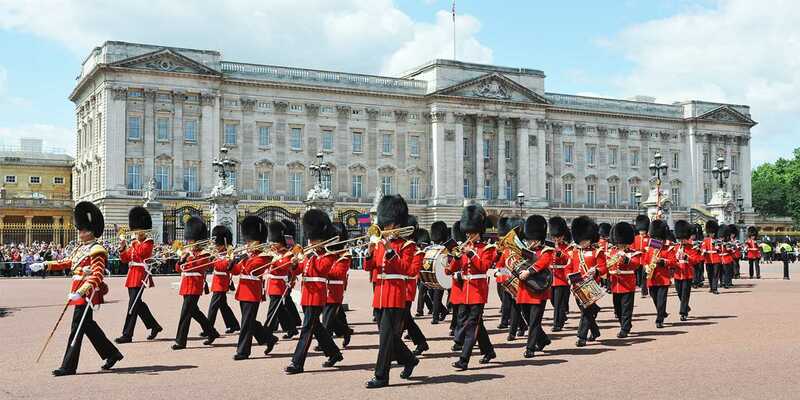 3-Hour Sightseeing Bus Tour of London, Only £10! 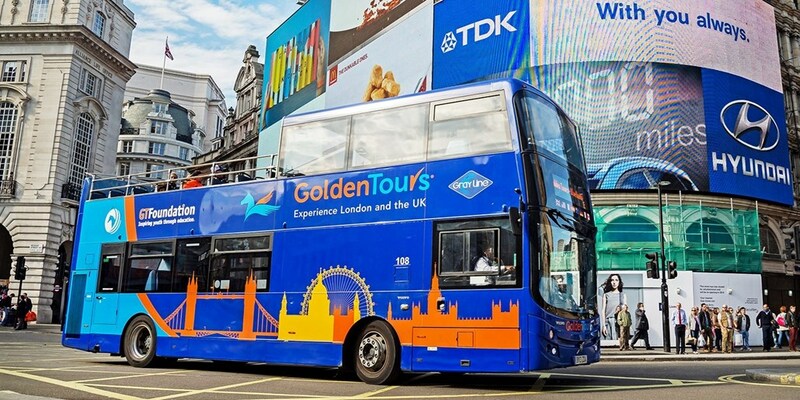 For £10 you can hop aboard a Golden Tours bus this summer for a 3-hour tour of London's most famous landmarks. London Canals: Hour-Long Self-Drive Boat Hire, Only £35! 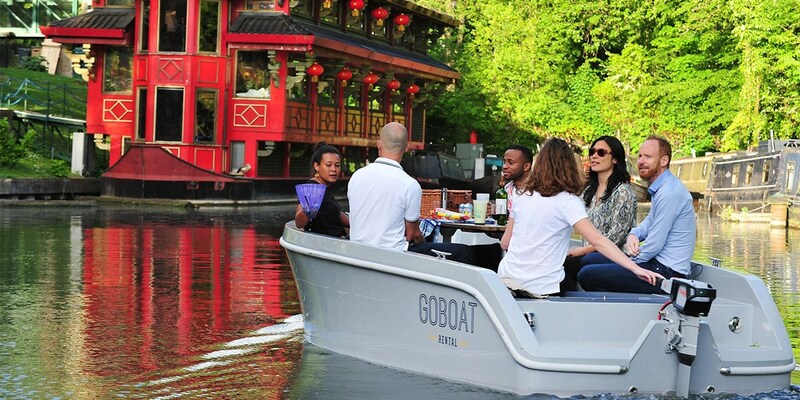 GoBoat is central London's only self-drive powered boating experience. An hour-long trip down London's canals, on a boat that can carry up to eight people, is now £35 -- that's less than £5 a head. 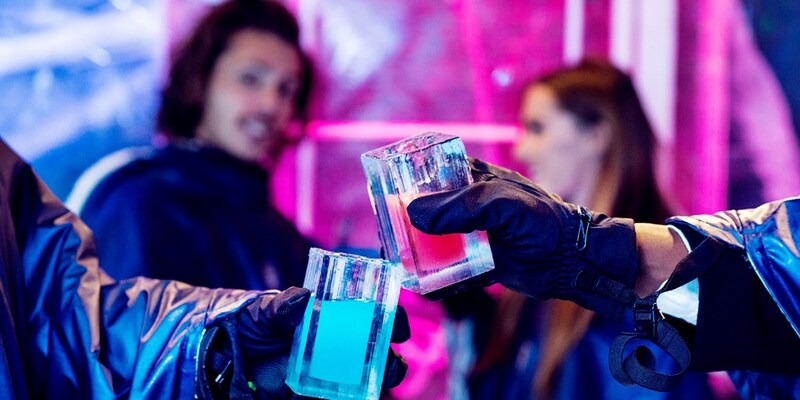 This experience, which includes a drink and a 3-course meal at ICEBAR LONDON near Piccadilly, is now £37 -- saving up to 28%. 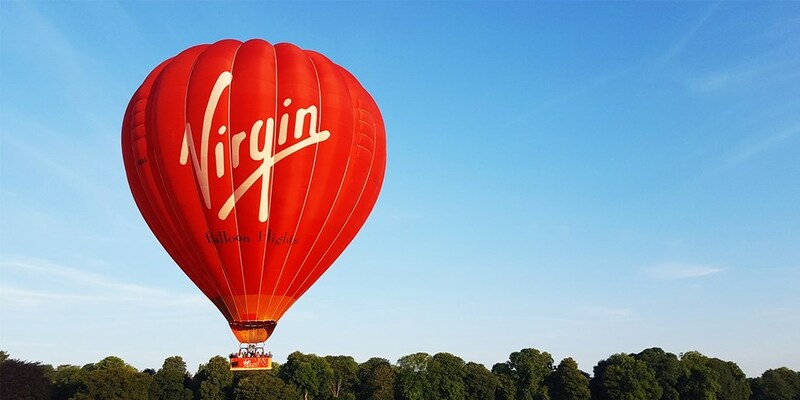 reat yourself or a friend to a once-in-a-lifetime experience with this sunrise or sunset champagne hot-air balloon ride, which is now half price at £99. 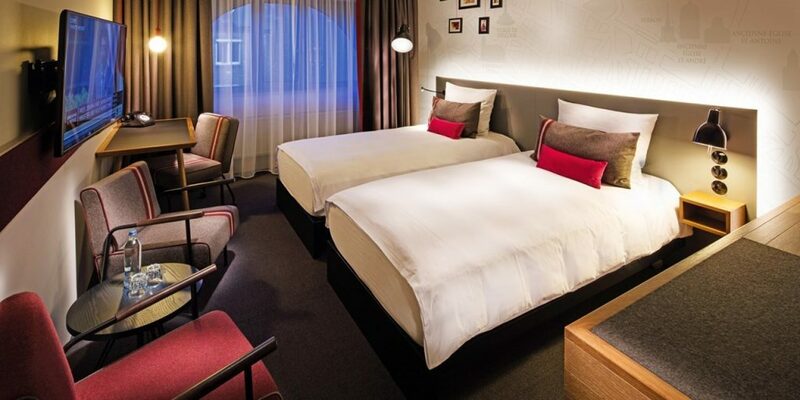 Brand new hotel deals, up to 52% off! Check out these brand new amazing hotel deals from Travelzoo! 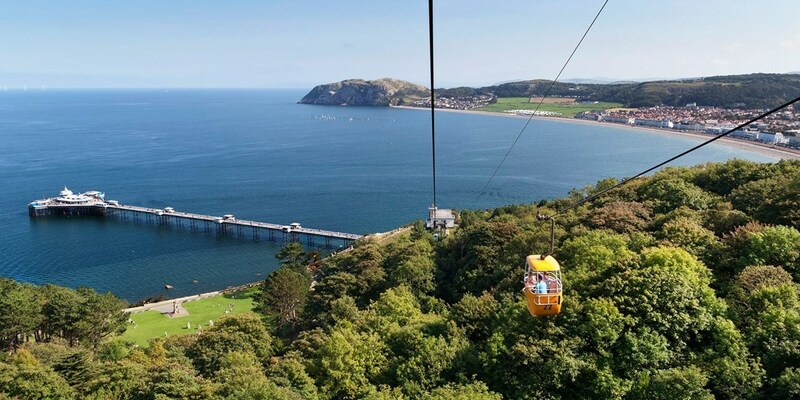 New Boutique Llandudno Hotel Stay with Dinner, Only £199! 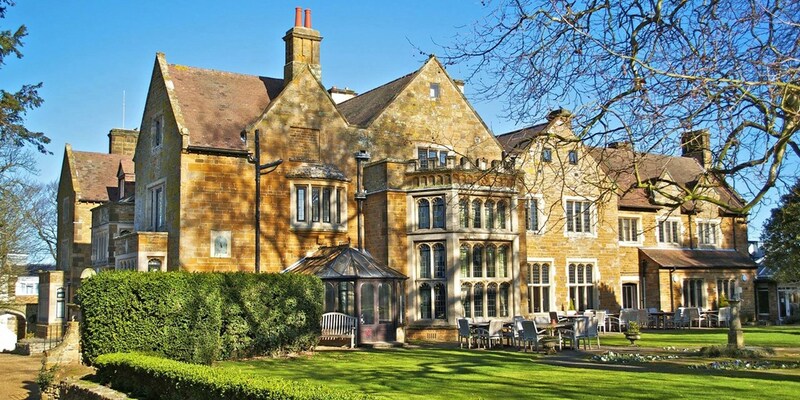 Northamptonshire Manor Stay with Dinner, Only £85! 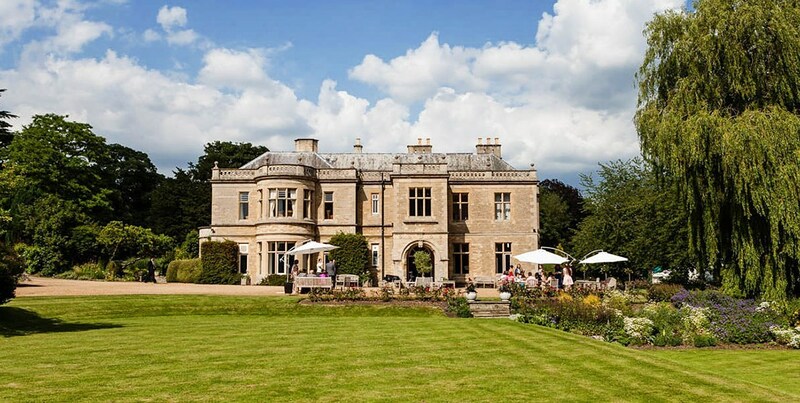 Overnight breaks at Wadenhoe House -- a Grade II-listed Jacobean manor near Oundle -- are now 40% off the usual price. 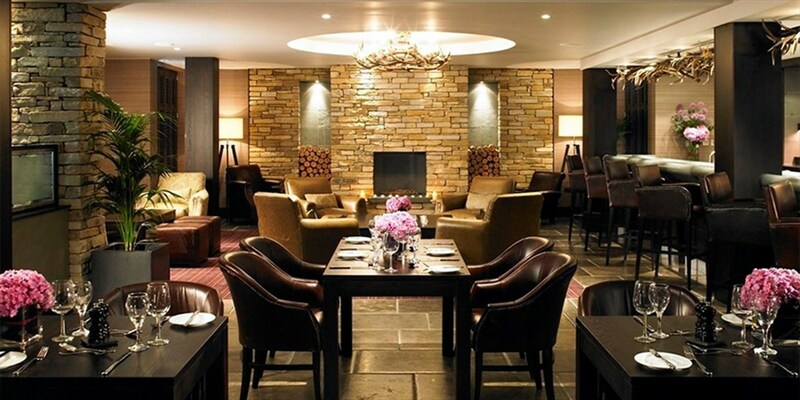 For £85, this package includes breakfast and dinner for two, plus 20% off at the hotel's spa. Summer activities for £15 & under, from Travelzoo! Make the most of the beautiful bank holiday weather with these amazing offers from Travelzoo for £15 and under! 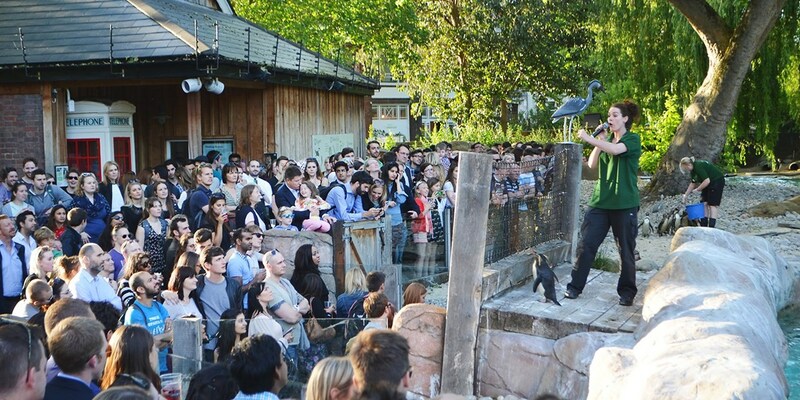 Summer 'Zoo Nights' Entry at ZSL, only £15! 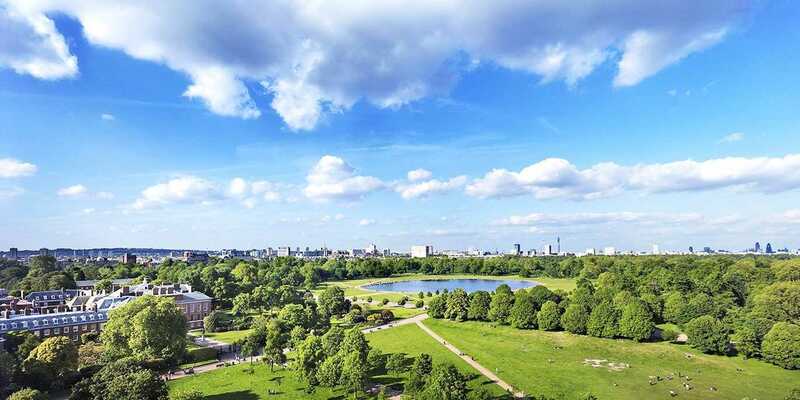 ZSL London Zoo opens its doors after hours this summer, giving you the chance to see the animals up close as the sun goes down. With this offer, Travelzoo members can nab tickets for £15. 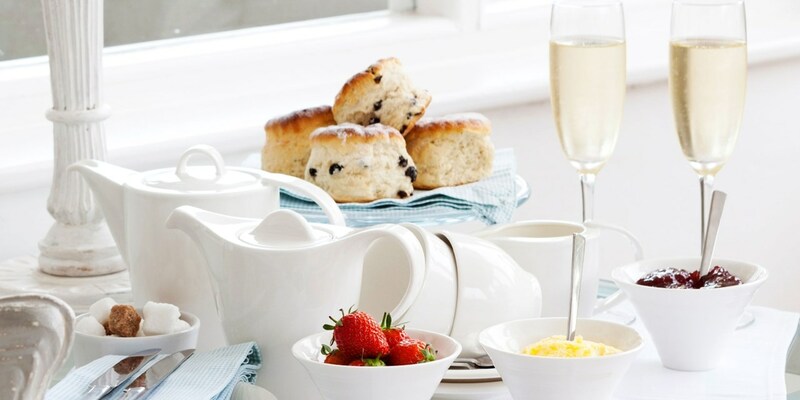 Newquay: Afternoon Tea for 2 with G&T or Prosecco, only £15! 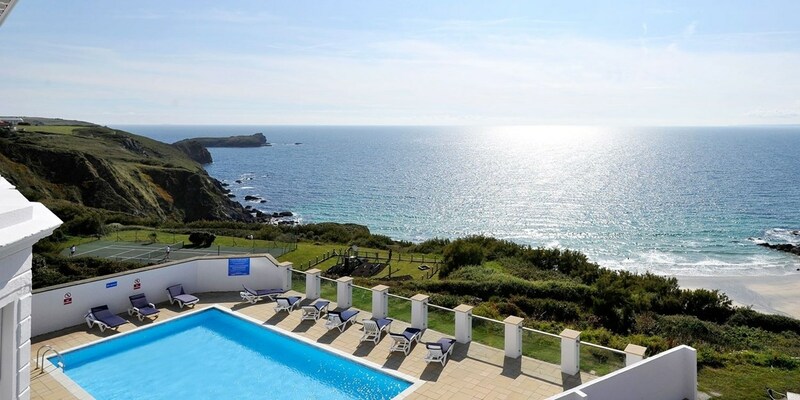 You can get afternoon tea with a gin and tonic or a glass of prosecco for £7.50 per head at the Pentire Hotel, which is located between Fistral Beach and the Gannel Estuary. 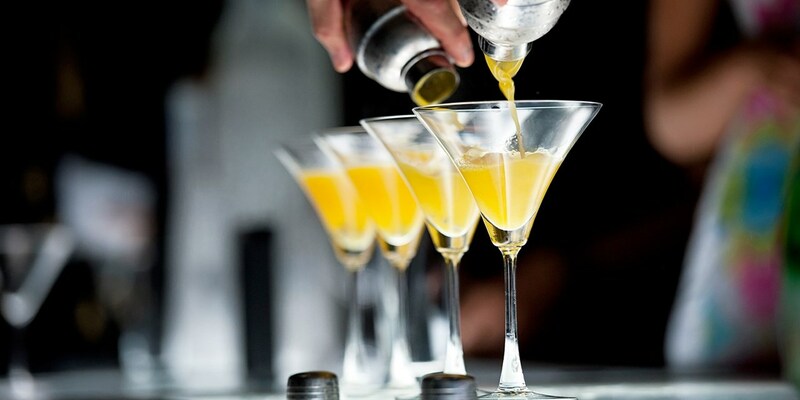 4 Cocktails for 2 in Central Cheltenham, Only £15! You and a friend can now visit Bar 50 in Cheltenham for four cocktails to share -- this offer is £19, saving 46% on the regular price. 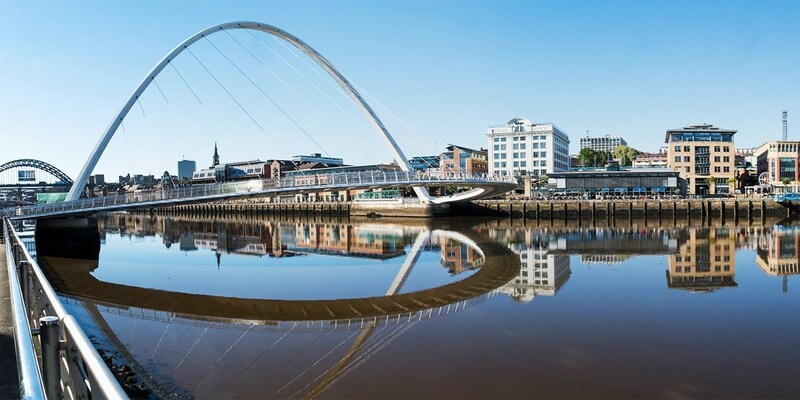 Newcastle Food Festival: 2 Adult Tickets, Only £10! 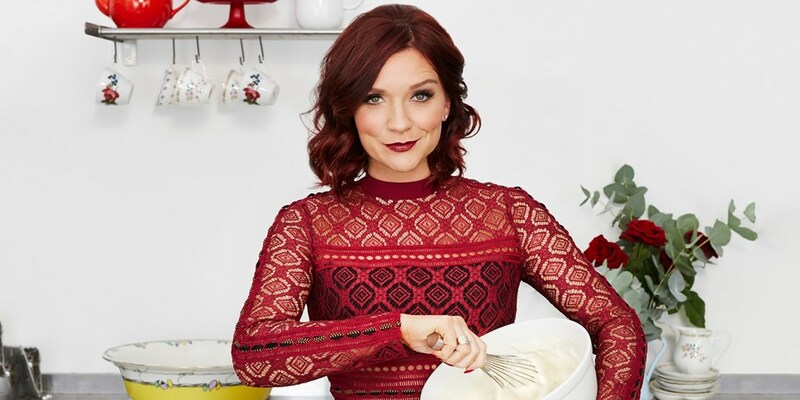 Get two tickets to Newcastle's Foodies Festival on 2-4 June. 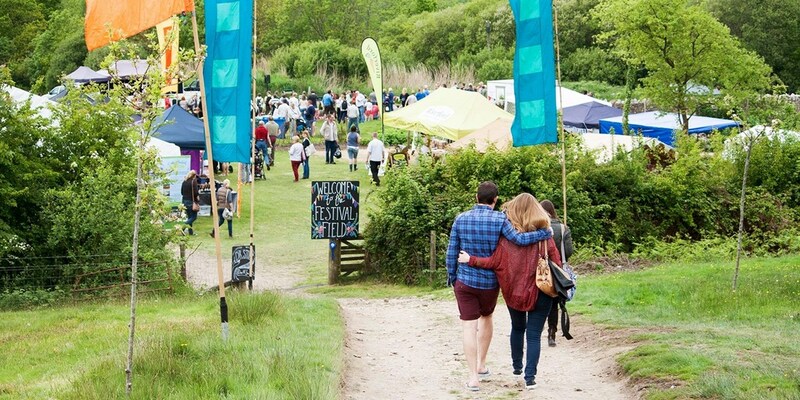 With celebrity chefs, classes, live music and more, there's plenty to keep you fed, watered and entertained. 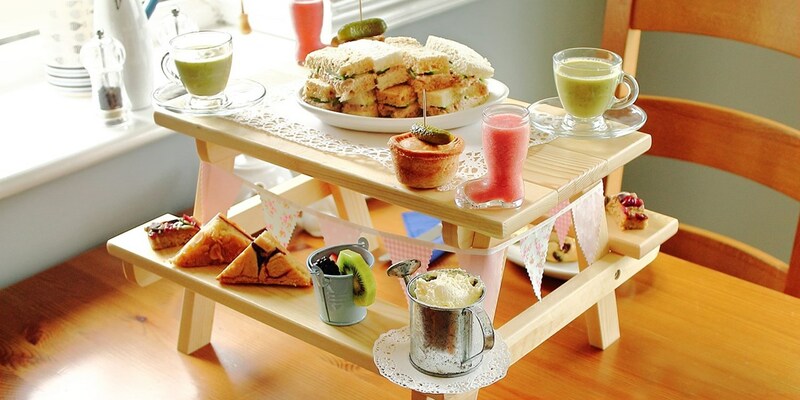 Afternoon Tea & Bubbly in Kent, Only £13! 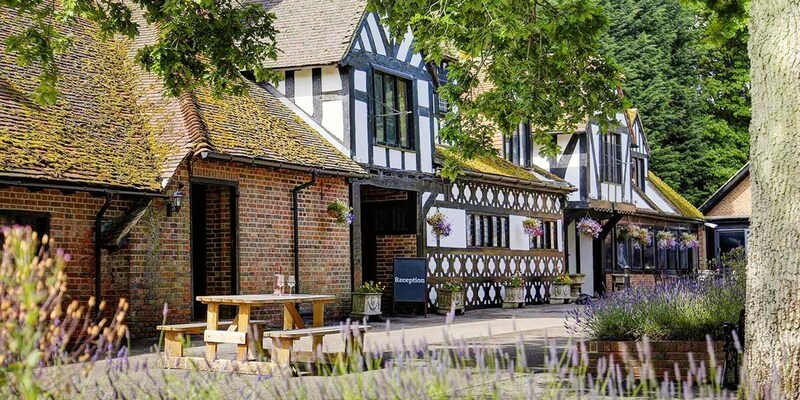 Set in a "characterful 16th-century timbered house" (The Michelin Guide 2017), the Hengist Restaurant is now offering afternoon tea with prosecco for £13 per head. 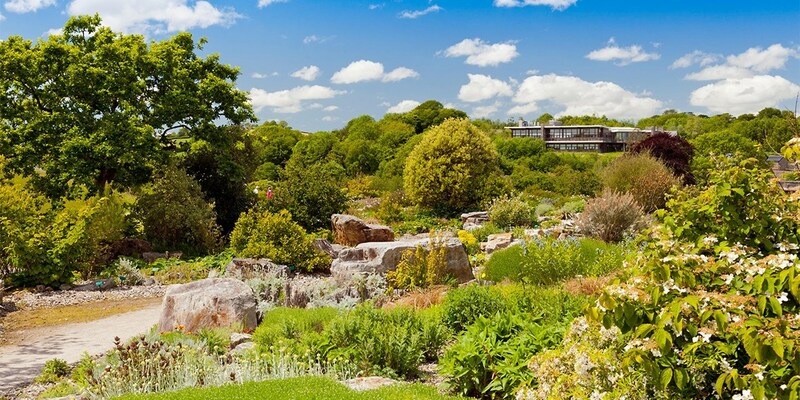 Entry for 2 to National Botanic Garden of Wales, Only £12! For £12 instead of the usual £17.72, you and a friend can visit the National Botanic Garden of Wales in Carmarthenshire -- saving 32% on the regular price. Check out these fantastic hotel deals from Travelzoo! 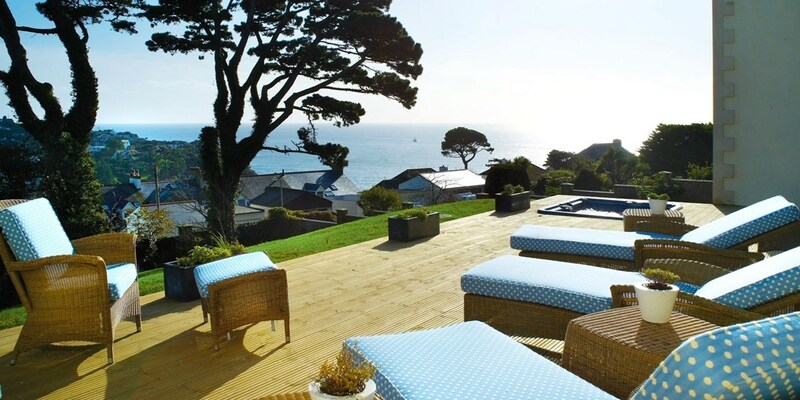 Dorset Island Escape including Breakfast, Only £69! Afternoon Tea deals from Travelzoo, up to 51% off! Check out this selection of the finest afternoon tea experiences from around the country - handpicked by Travelzoo. Save up to 51%! 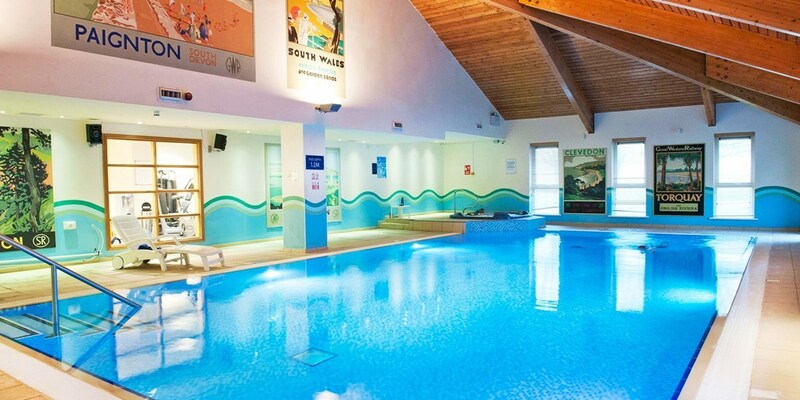 'Superb' Devon Spa Day with Treatments & Cream Tea, Only £79! "Classic and peaceful" (The AA) Bovey Castle is a Grade II-listed country house in Dartmoor National Park. You can now enjoy a spa day with two treatments and cream tea for £79 -- saving 46% on the regular cost. 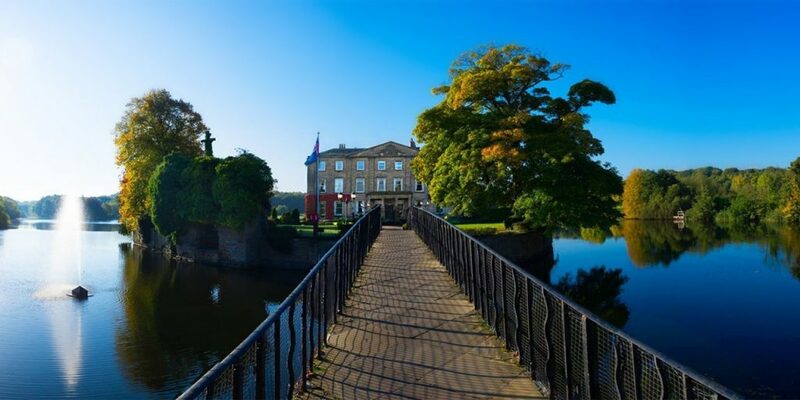 Waterton Park Hotel and Walton Hall -- a 4-star property in a "truly idyllic setting" (The AA) near Wakefield -- is now offering access to the leisure facilities followed by afternoon tea for two for £34, saving 50% on the regular cost. 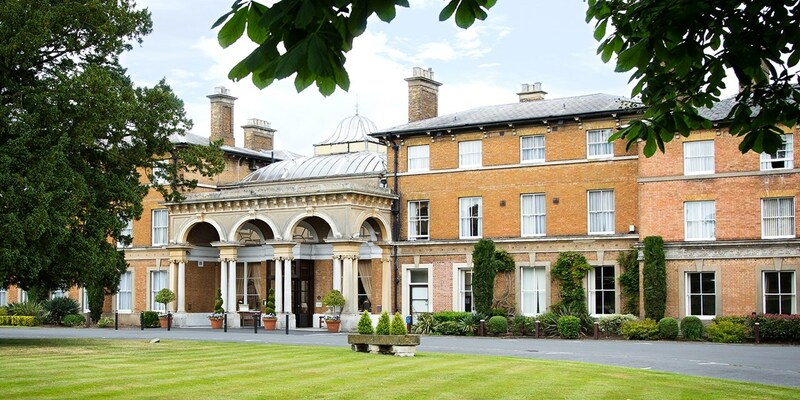 Luxurious' Warwickshire Spa Day & Afternoon Tea, Only £49! 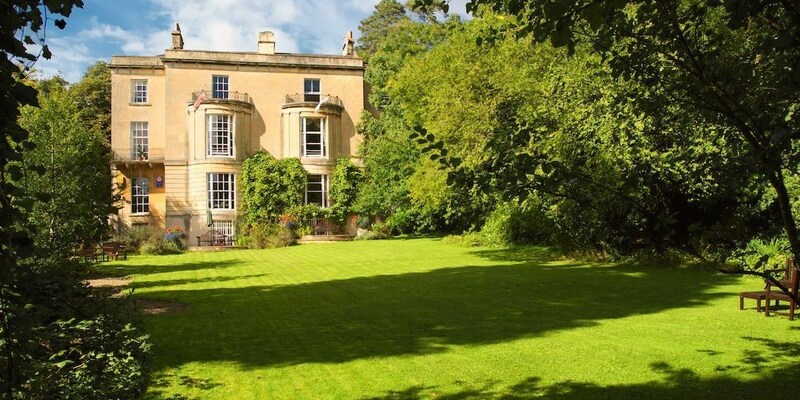 Cotswold House Hotel & Spa, a "handsome honey-stone hotel" in the "heart-stoppingly picturesque" (The Daily Telegraph) market town of Chipping Campden is now offering champagne afternoon tea for two for less than £15 a head. 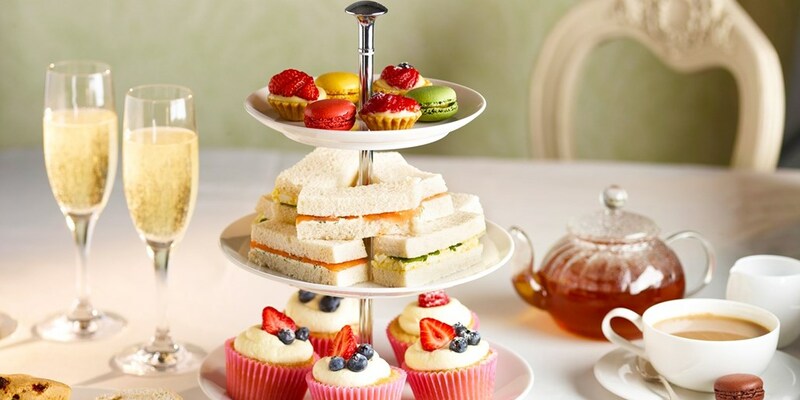 Afternoon Tea & Champagne at 5-Star Mayfair Hotel, Only £29.50! Champagne afternoon tea at the AA 5-Red-Star* Athenaeum Hotel in Mayfair is now £29.50 per person, saving 25% on the regular cost. 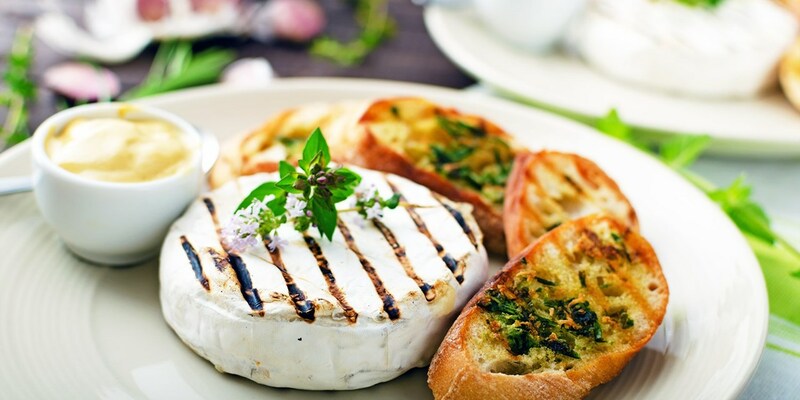 Afternoon Tea & Bubbly for 2 at Staffordshire Bistro, Only £21! 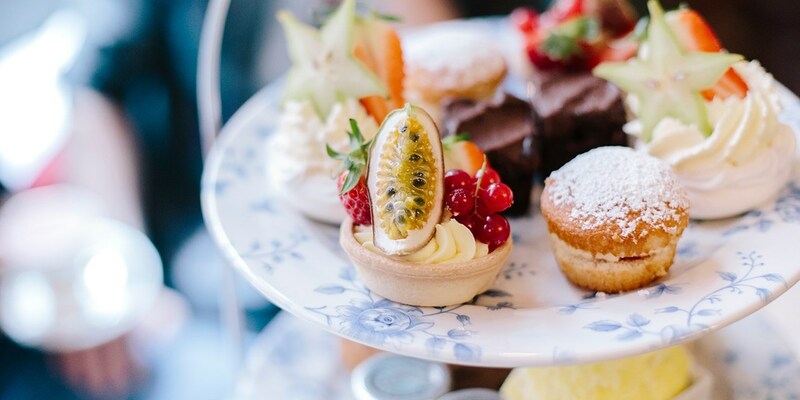 You and a friend can get a ladies- or gents-themed afternoon tea with bubbly or beer at Let's See Bistro in Stone for £10.50 a head, saving 44% on the regular cost. 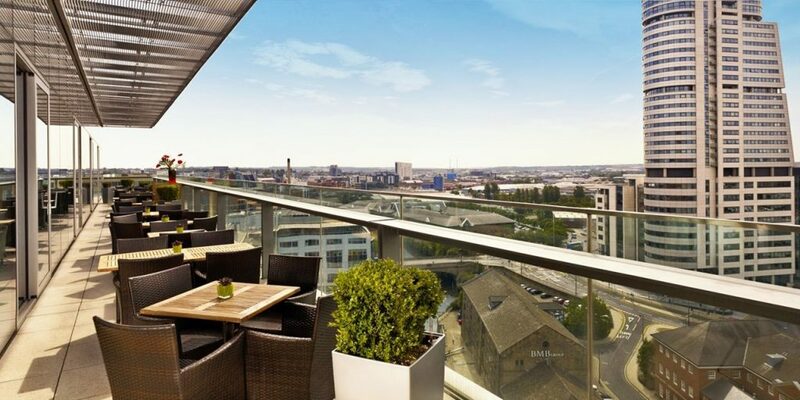 Champagne Afternoon Tea for 2 with Birmingham Views, Only £35! 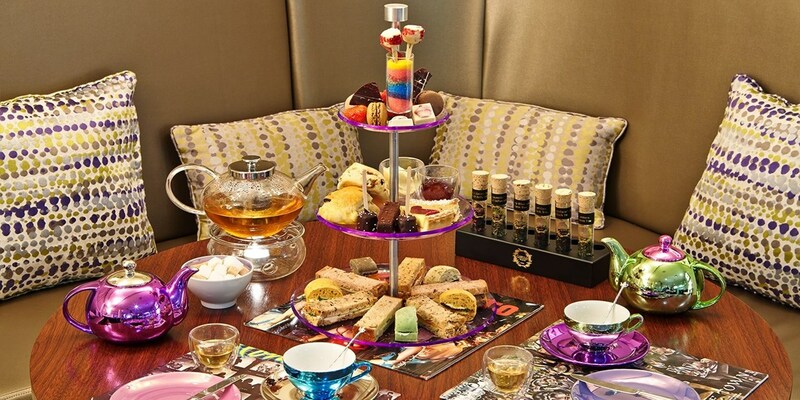 Two people can enjoy afternoon tea with ­Laurent-Perrier champagne in Hotel Indigo Birmingham's 25th-floor lounge for £35 -- 35% less than usual. Afternoon Tea & Bubbly for 2 near Hever Castle, Only £29! 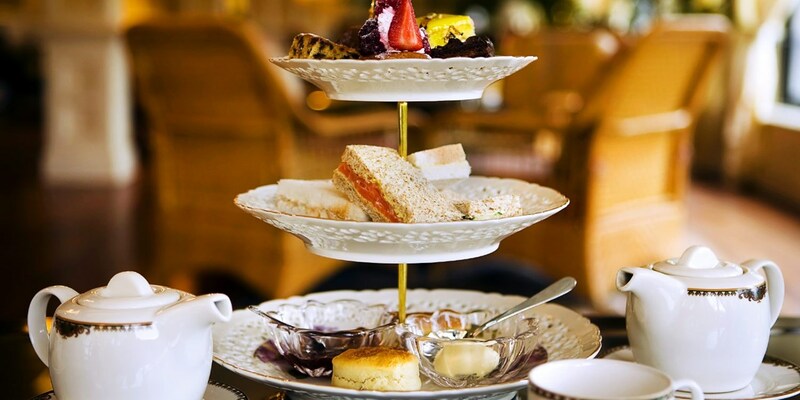 You can now enjoy sparkling afternoon tea for two at Hever Hotel for £29 -- saving 42% on the usual cost. Travelzoo have some fantastic deals to get you & the family out and about this May! Also, check out their fantastic gourmet UK mini breaks deals for an amazing short break with added foodie extras! You and a friend can now enjoy afternoon tea with a glass of prosecco at Sky Lounge, located on the 13th floor of DoubleTree by Hilton Leeds City Centre, for less than £15 a head. The "beautiful and secluded" (Liverpool Echo) Macdonald Craxton Wood Hotel boasts a 4-bubble rating from The Good Spa Guide. For £45, you can now visit for a spa day, including up to 55 minutes' treatment time, use of the facilities and a glass of bubbly. 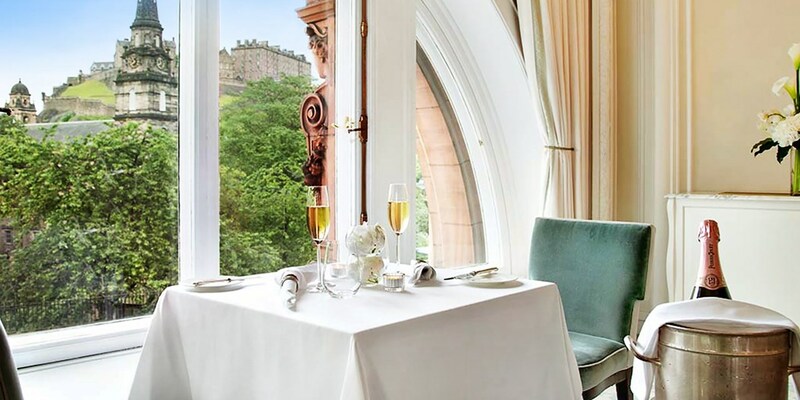 For less than £40 per head, you and a friend can now enjoy a 5-course tasting-menu dinner with a hot drink each at the 3-AA-Rosette Pompadour by Galvin in the Waldorf Astoria Edinburgh. 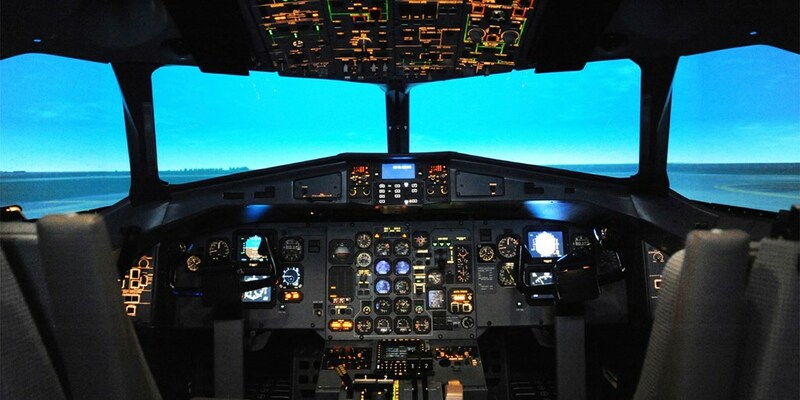 For £45, Jet Sim School is now offering a Boeing 737 flight simulator experience, including an introduction and a pre-flight briefing, followed by 30 minutes behind the controls. 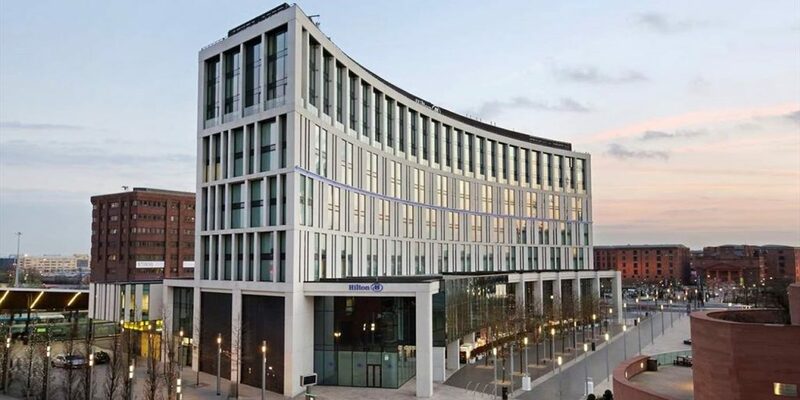 The Hilton Liverpool City Centre Hotel, located in the Liverpool ONE development, a short walk from the historic docks, is now offering a 2-course dinner with bubbly for two, for £29. Sometimes you just need a little something special. 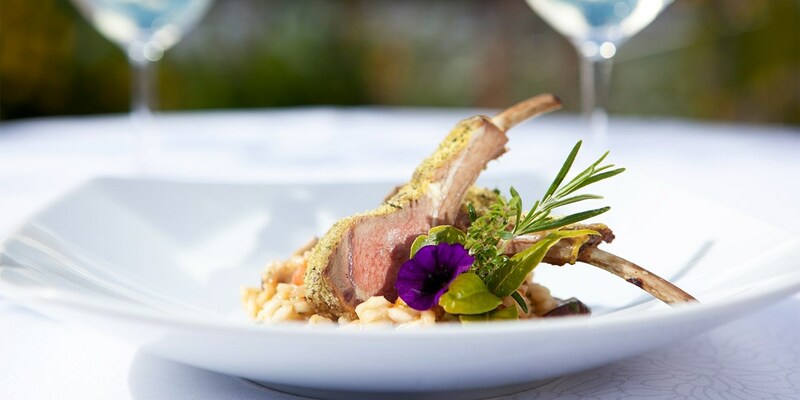 These gourmet hotels are not only fine properties, they also have included fine dining in the price of an overnight stay. Of course, it's harder to find great hotel deals with gourmet dining, but it's not impossible. Many hotels with Michelin-starred and AA-Rosette restaurants put packages together to offer their guests a full experience. 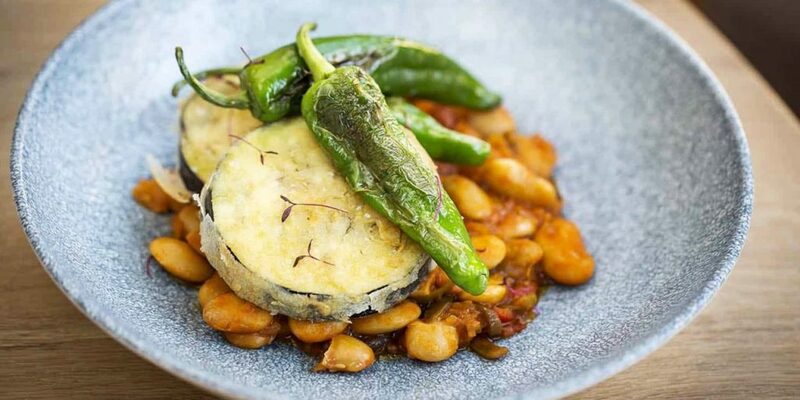 You may find yourself tucking into dishes created by a celebrity chef or trying a meal that impressed the likes of AA Gill, Grace Dent or Jay Rayner. 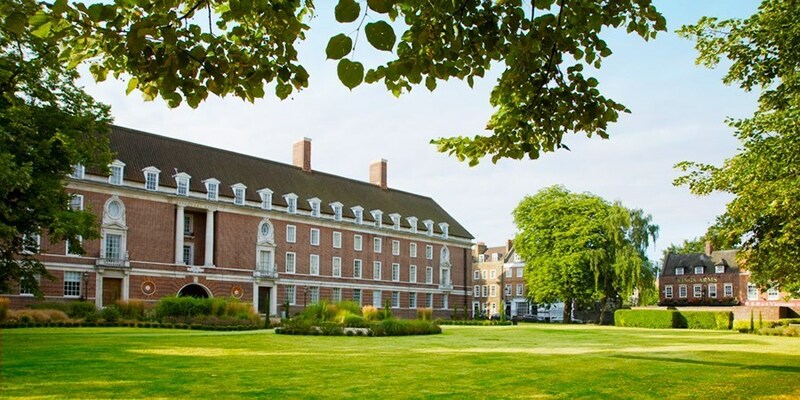 Fantastic UK hotel & breaks deals from Travelzoo! Check out our new UK breaks landing page, designed to showcase all areas of the UK handily split into different catigories. This should make pushing UK breaks easier if you're wish to use a more generic landing page! Check out our top UK break & hotel picks! 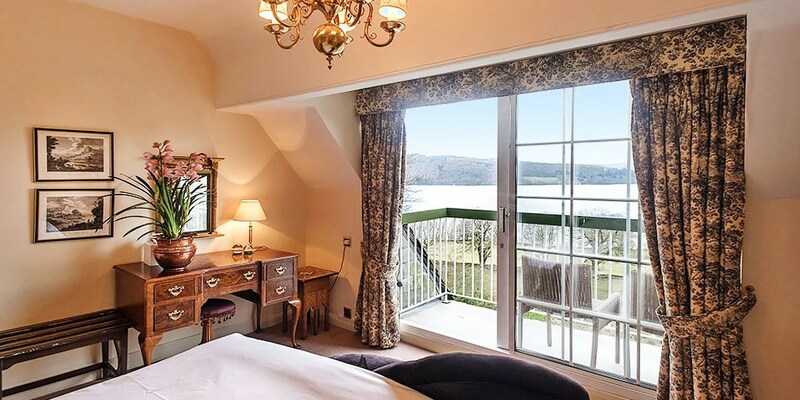 Overnight stays at Armathwaite Hall Country House & Spa -- a hotel that has "gorgeous views" (The Daily Telegraph), and is set in a 400-acre deer park -- are now £199. This deal saves 34% on the usual price. Built in 1350 during the reign of Edward III, Langley Castle is a medieval fortress with its own chapel, stained glass windows and ornamental traceries. 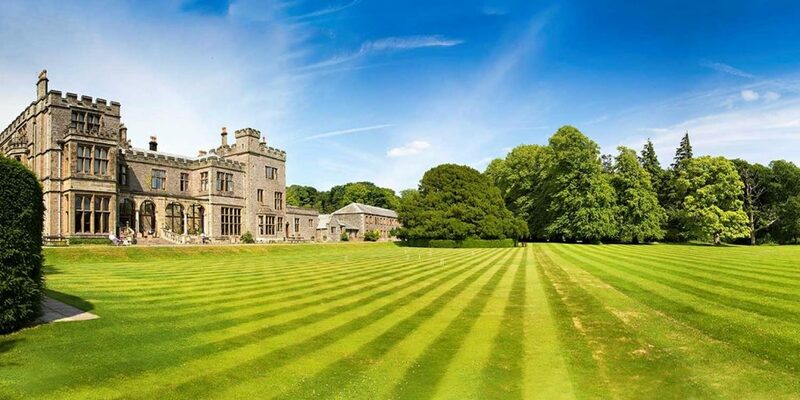 Bed-and-breakfast stays at this property, which is set in 10 acres of Northumberland parkland, are now £119. Fresh Hotel deals from Travelzoo, from as little as £49! Check out these fresh Hotel deals & getaway deals from Travelzoo! 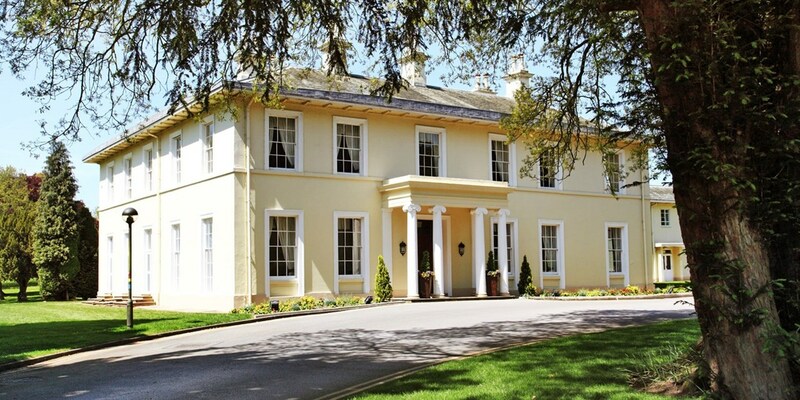 Wales: Georgian Manor with 5-Course Tasting-Menu Dinner, 35% off! 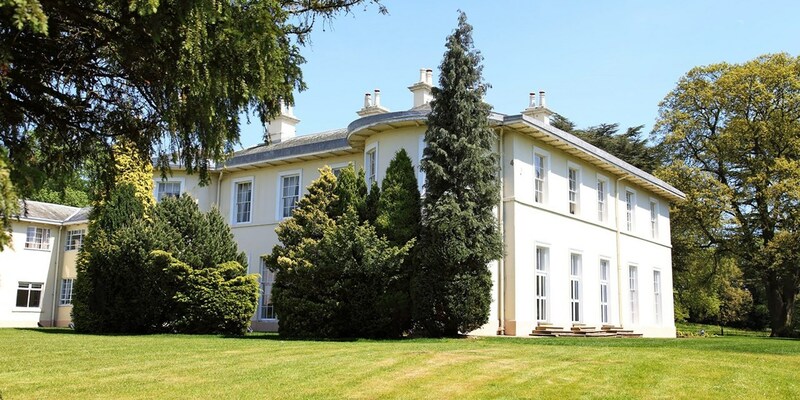 You can save 35% on an overnight stay at Hammet House, a Grade II-listed Georgian manor in rural Pembrokeshire. Now £169, this gourmet offer includes a 5-course dinner with canapés and petits fours, and travel is available until the end of August. The United Kingdom's coastline is full of dramatic cliffs, surf havens, mile-wide beaches, fishing villages, ancient rock formations and countless fish 'n' chip shops. 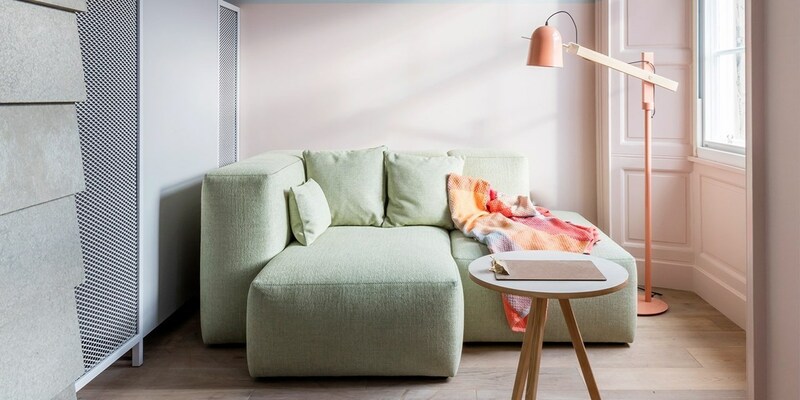 Cornwall, Devon, Dorset, Blackpool, the Isle of Wight, Dover, Giant's Causeway and Dumfriesshire are all popular domestic destinations for a staycation or a getaway. Fantastic hotel deals up to 60% off, from Travelzoo! Save up to 60% on these fantastic hotel deals from Travelzoo! 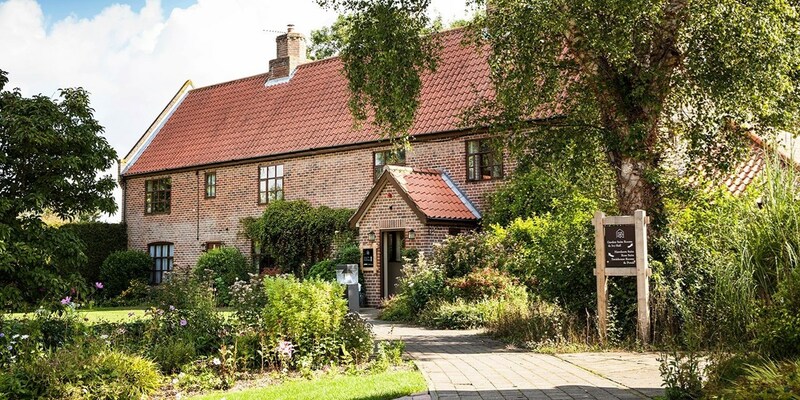 North Yorkshire: 2-Night Stay with Meals & Cream Tea, 36% off! Escape for two nights to The White Swan Hotel & Restaurant, a Grade II-listed village inn one mile outside the Yorkshire Dales National Park and two minutes' walk from the ruins of a 12th-century castle. This offer includes cream tea and dinner, and saves up to 36% on the usual cost. 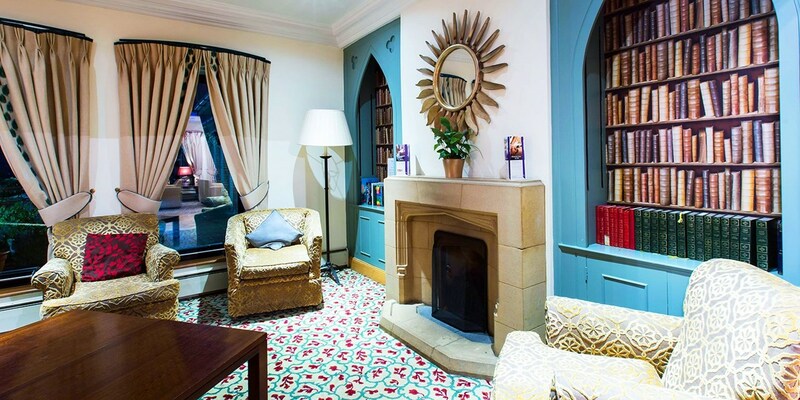 You can save up to 37% on 2-night stays at The Bull at Burford, which dates from 1475 and has "plenty of charm and character" (The AA). 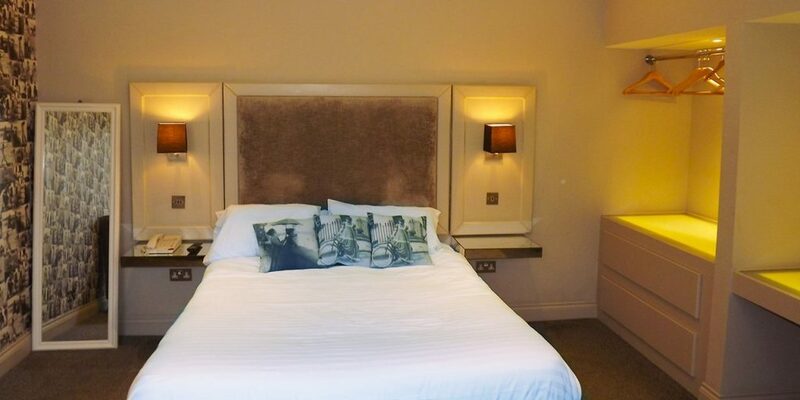 Our offer includes £50 dining credit per room, which can be used in the 2-AA-Rosette restaurant. 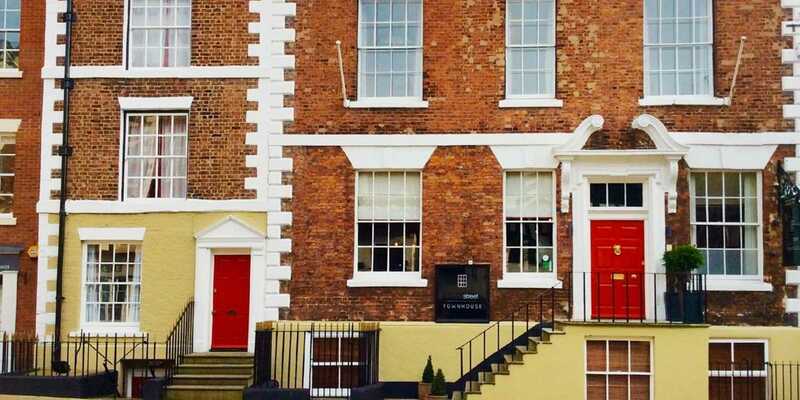 Stays at this Cheshire inn are now 42% cheaper than usual. 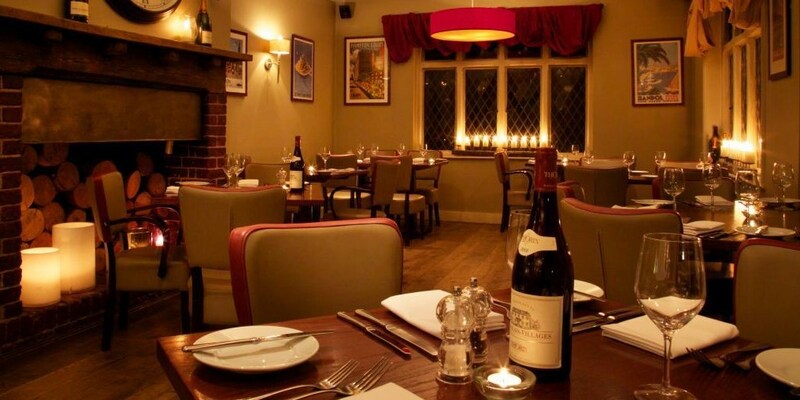 A 2-night getaway at the 19th-century The Royal Oak in Kelsall is £159, and includes daily breakfast and dinner. The UK has alot to over for a holiday or a weekend away, Travelzoo have a wide selection of UK hotel & getaway deals to choose from. From fun country trips for the whole family, to romantic seaside breaks to exciting hotel deals in some of the UK's most vibrant cities! All deals are secured at fantastic prices with huge benefits! UK Hotels & Breaks deals, up to 50% off and more! Treat yourself to a country-house escape in the Lake District, or a coaching inn in the Cotswolds. Our deals for UK breaks include extras like dinners, tickets to nearby attractions, wine and more, and are always great value. Top UK Hotel deals from Travelzoo, up to 57% off! Get up to 57% off these fantastic UK hotel deals from some of the best hotels and locations in Great Britain, exclusively selected by Travelzoo! Bath Getaway inc Lunch, Champagne & More, 49% off! For £69, two people can stay overnight at The Limes Hotel, a Georgian property in the quaint town of Needham Market in Suffolk. 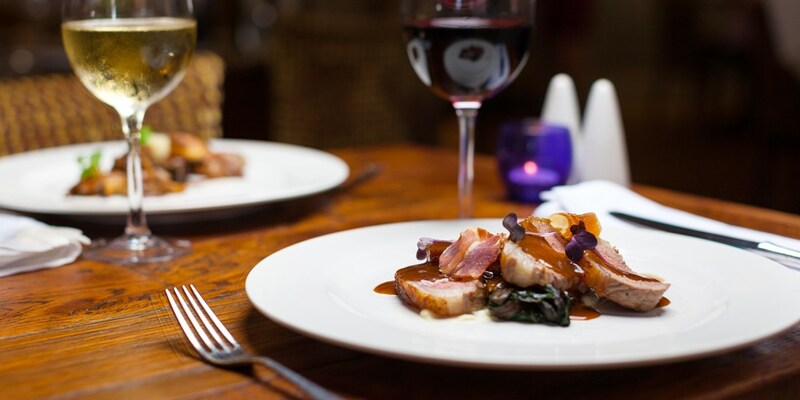 This offer includes £20 dining credit each and saves 42% on the usual cost.